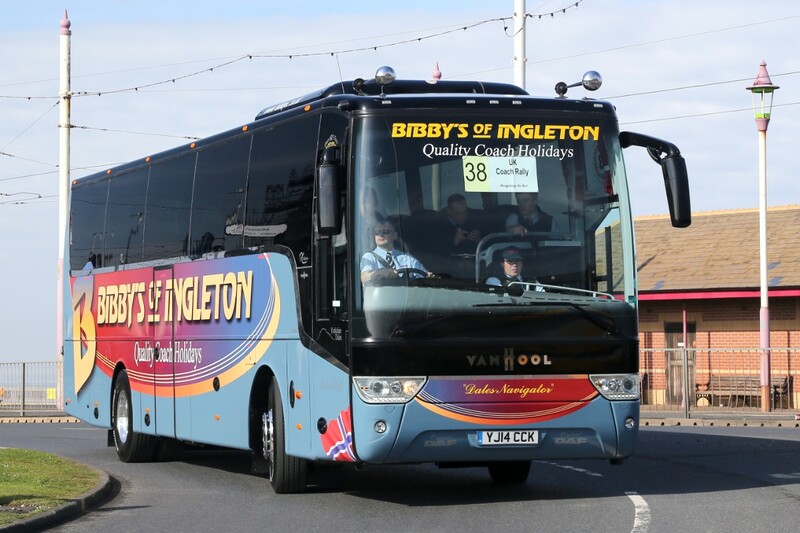 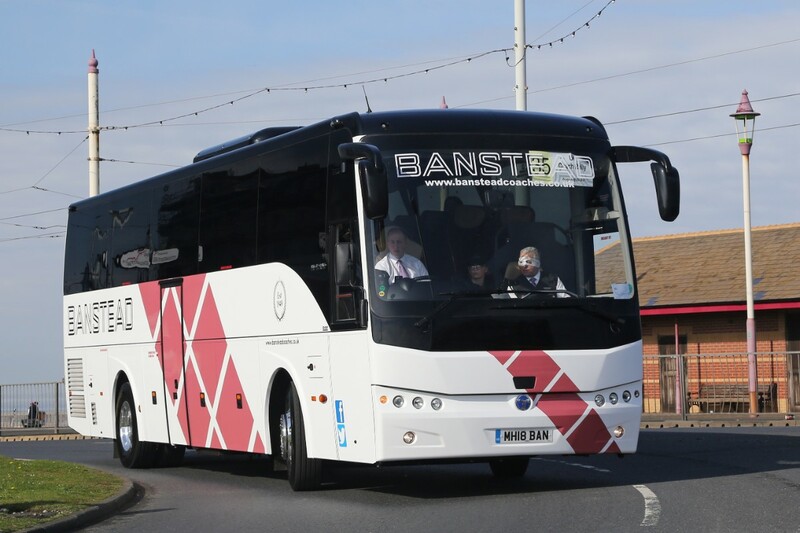 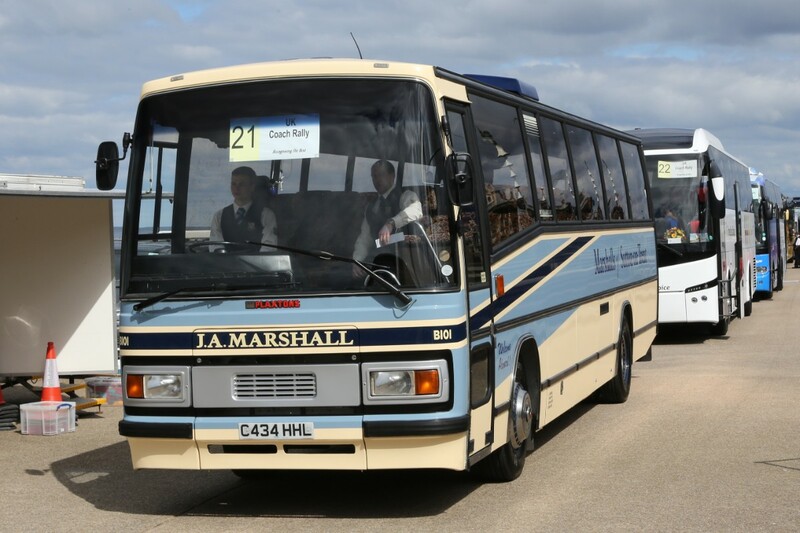 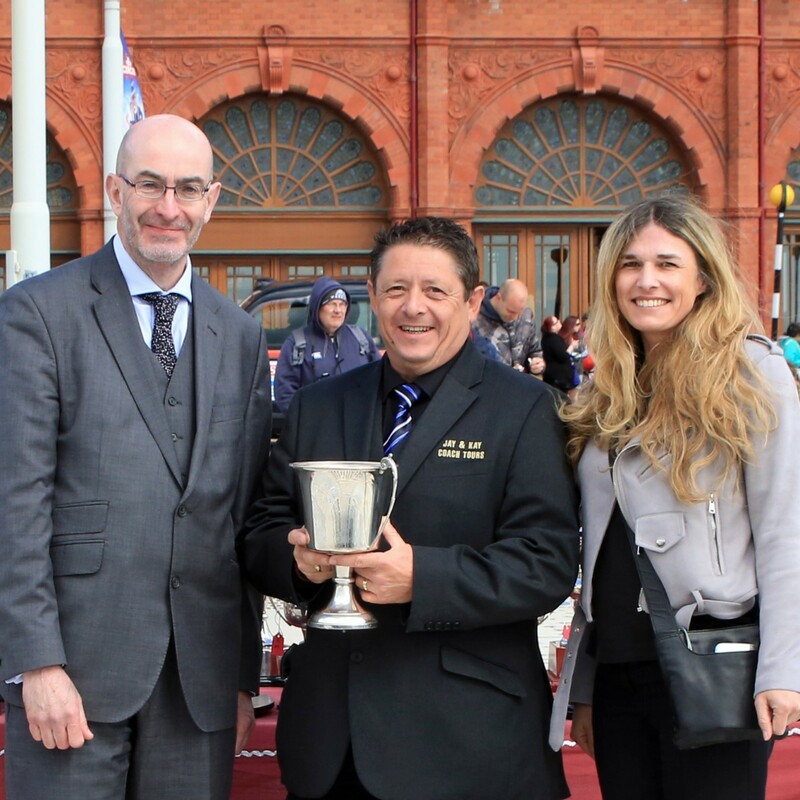 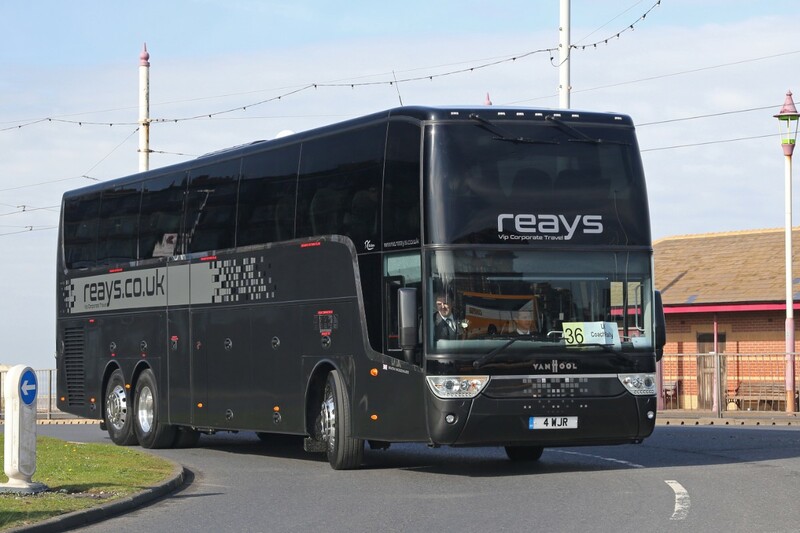 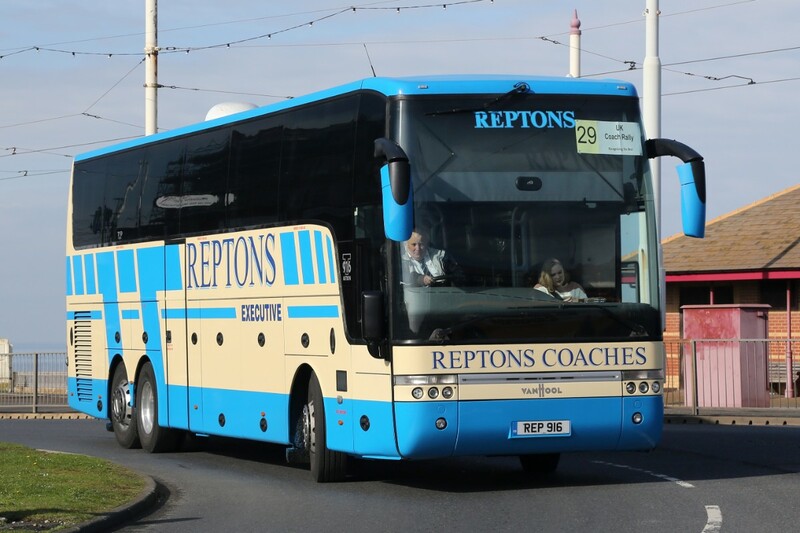 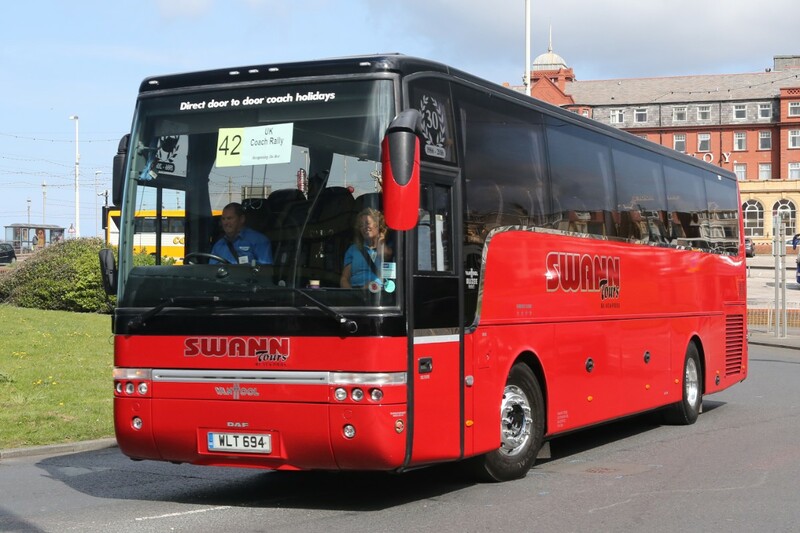 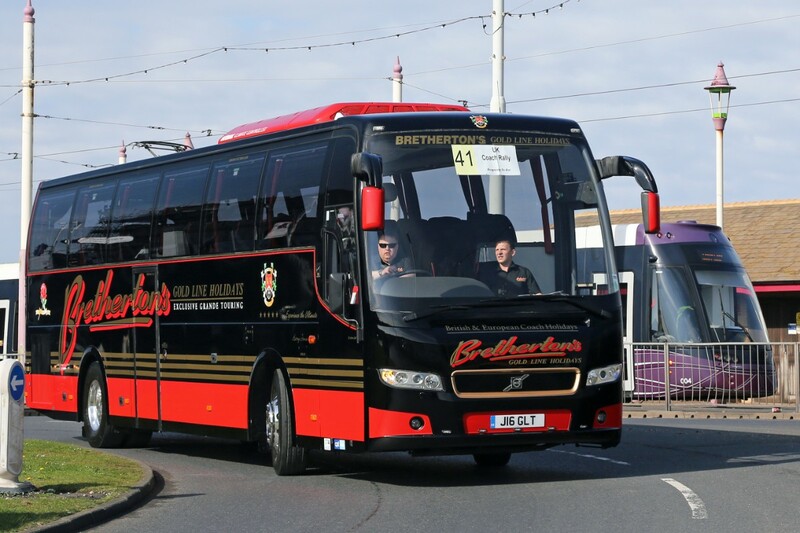 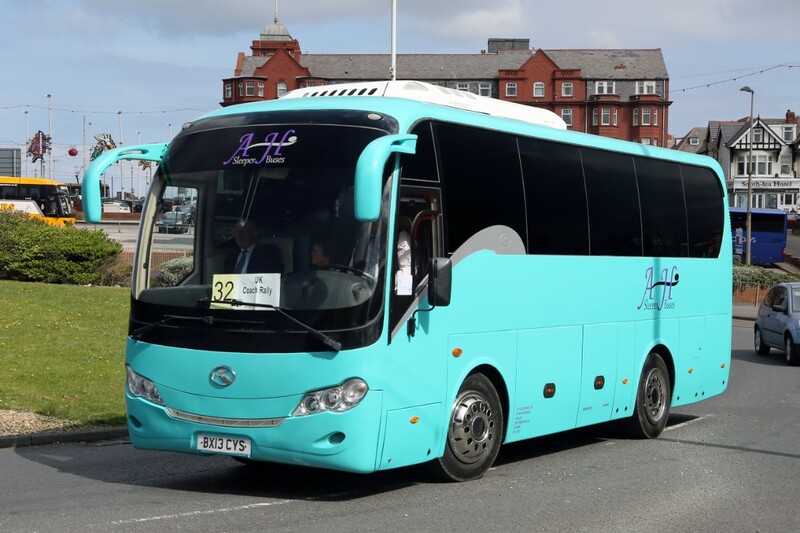 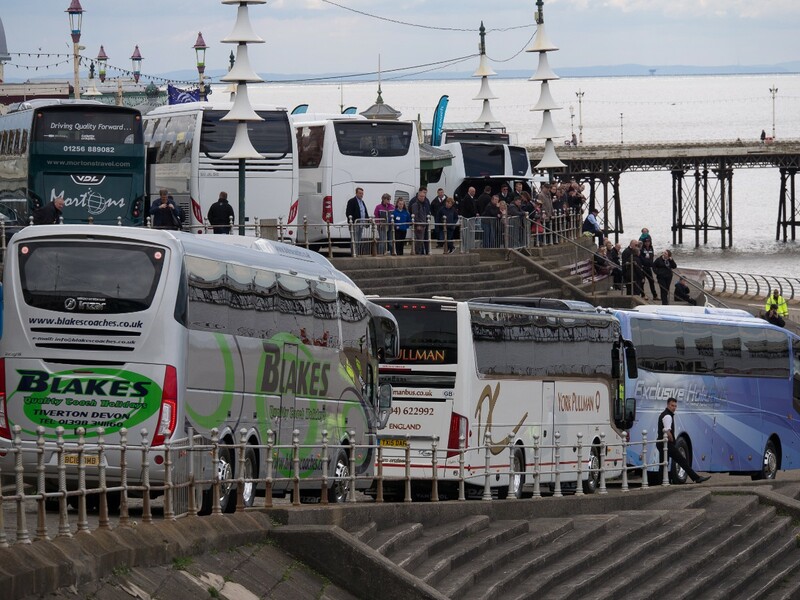 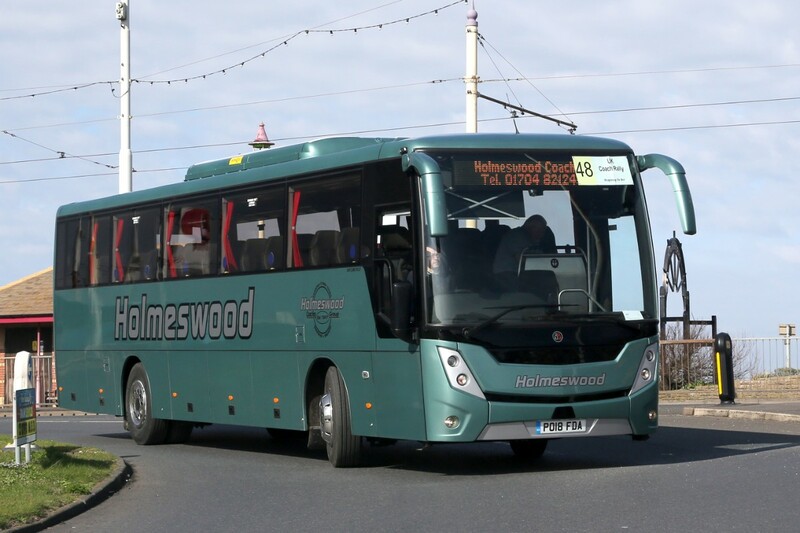 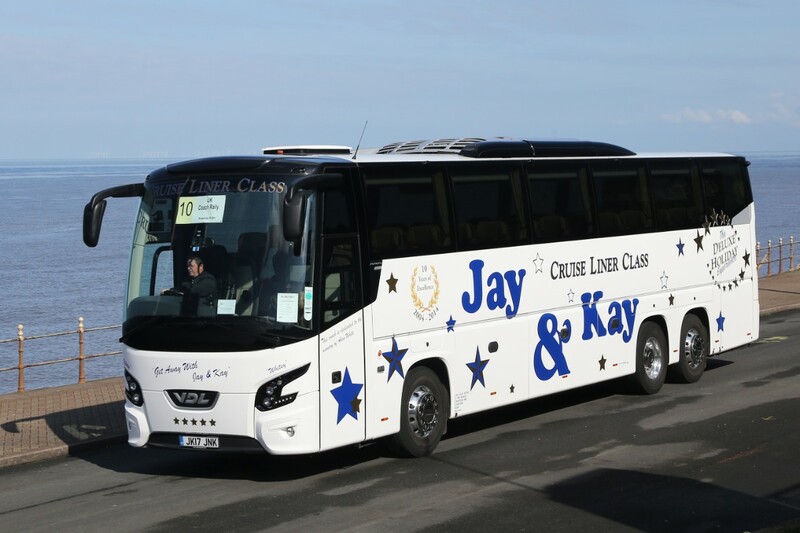 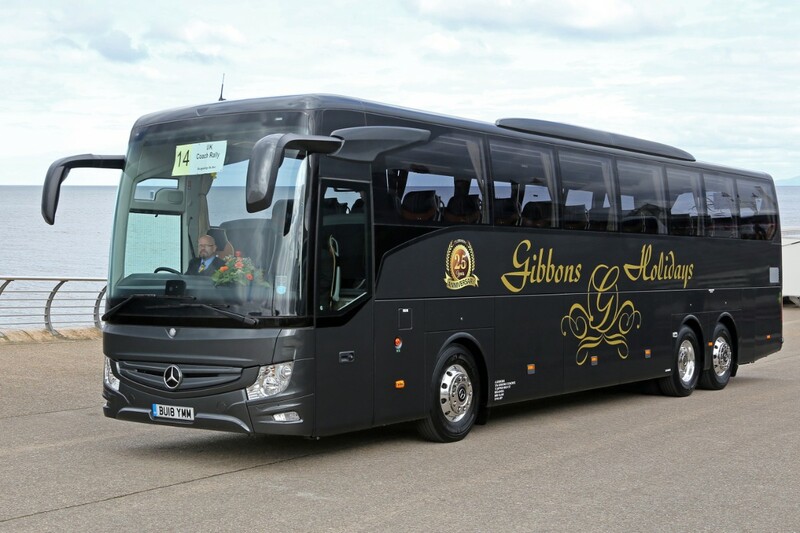 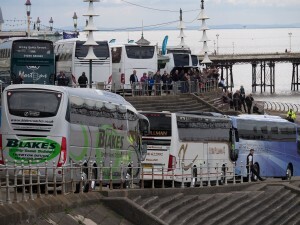 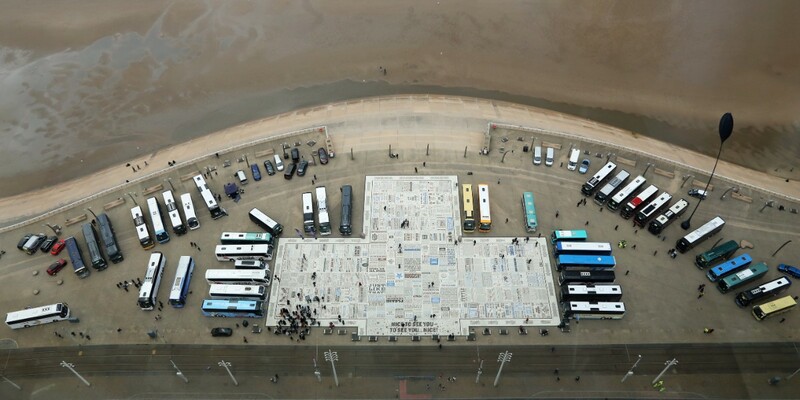 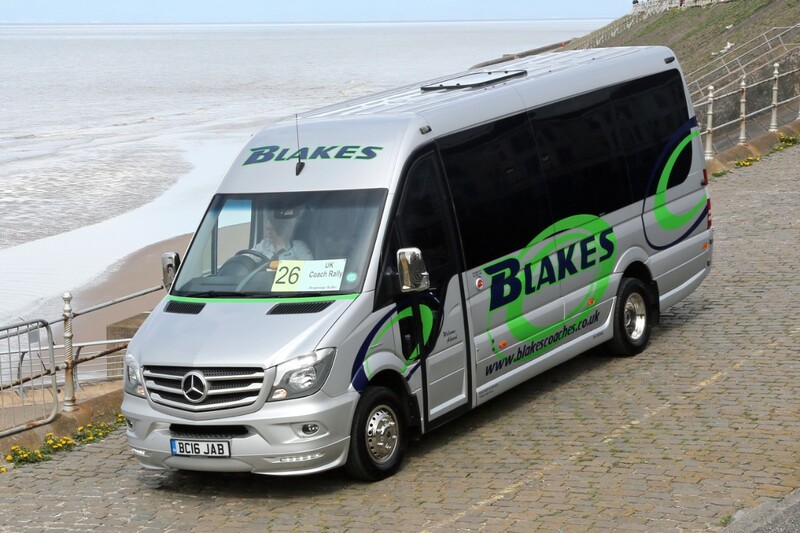 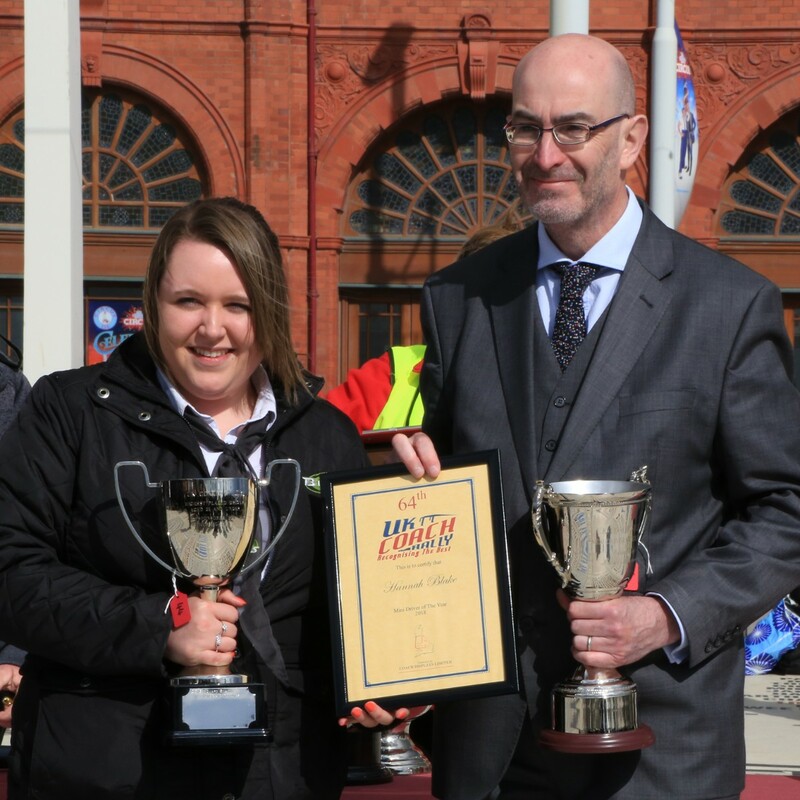 Almost 50 of the country’s top operators fielded their finest drivers and coaches for this year’s UK Coach Rally – a spectacle which even drew the gaze of Blackpool’s party animals. 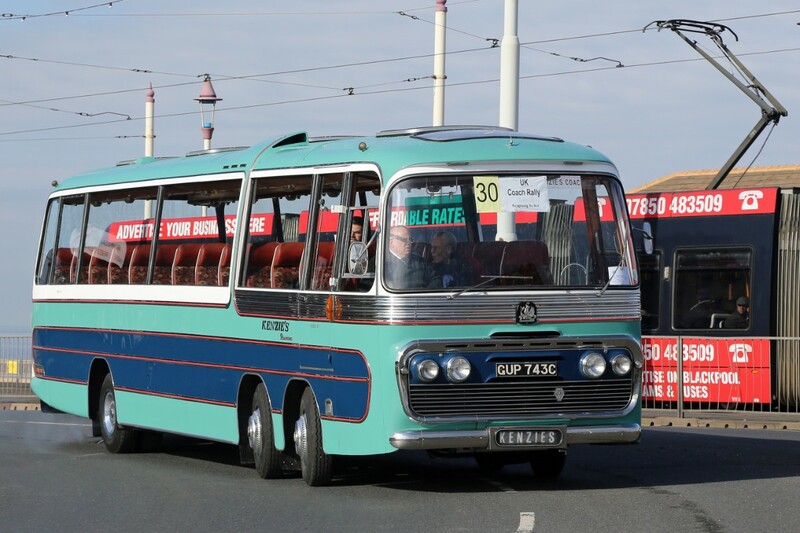 Now in its 64th year, the rally was the star of the seafront, with the vehicles assembled in the shadow of Blackpool Tower. 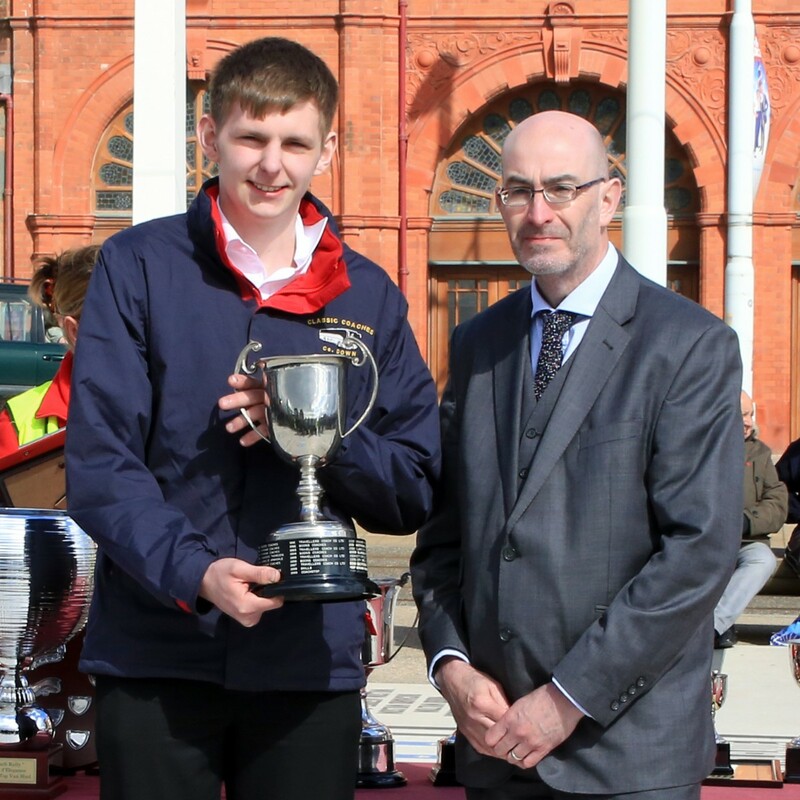 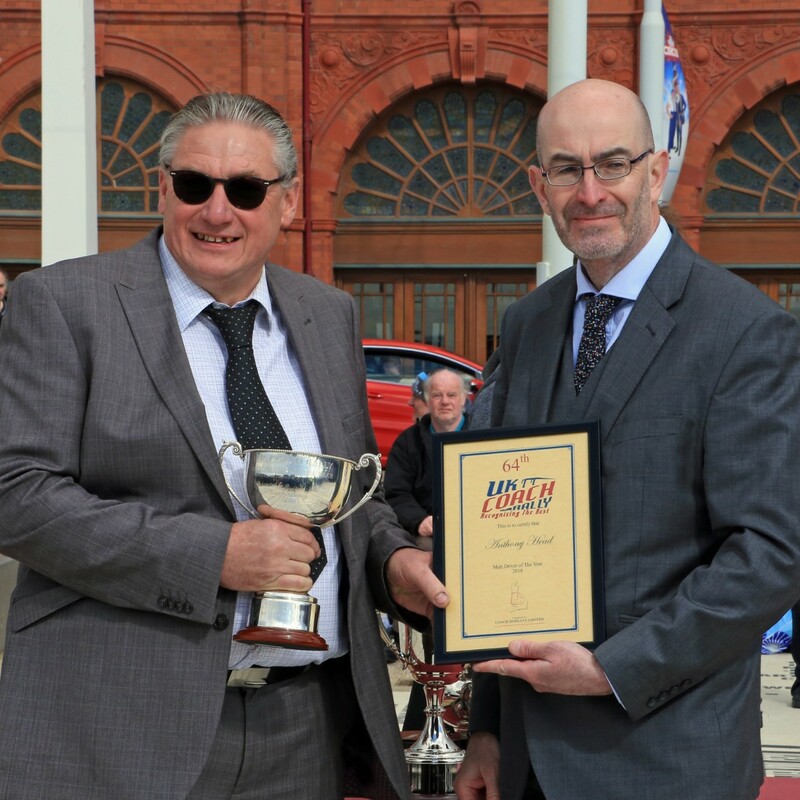 As always, there were two main strands of competition – the Concours and the driving tests…. 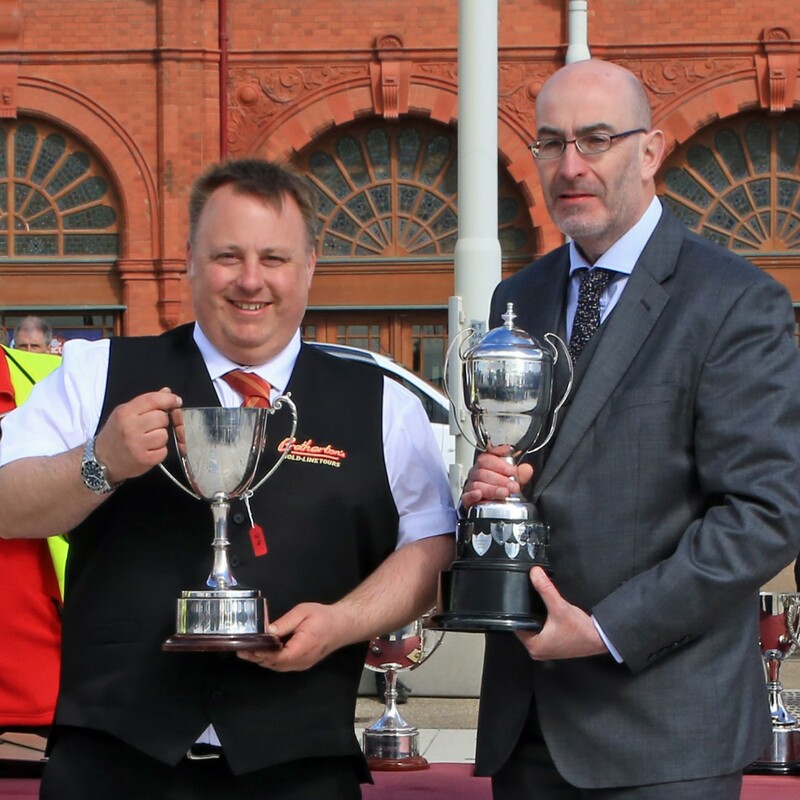 and both yielded worthy winners. 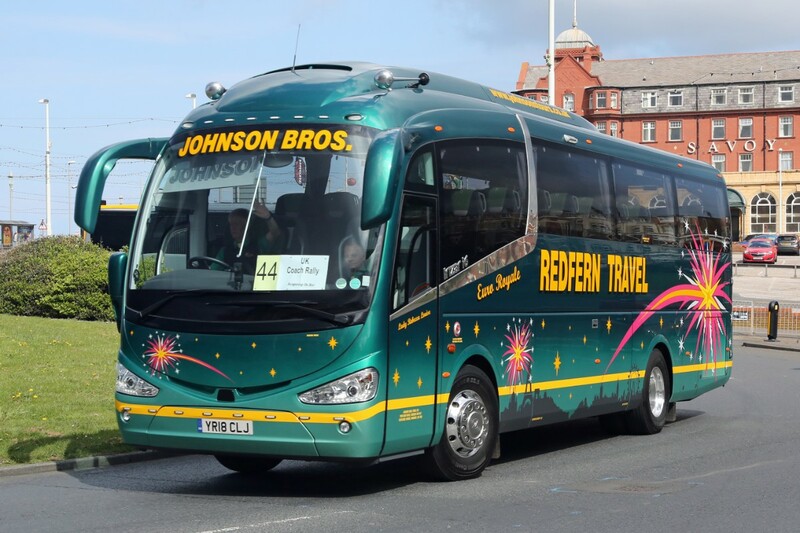 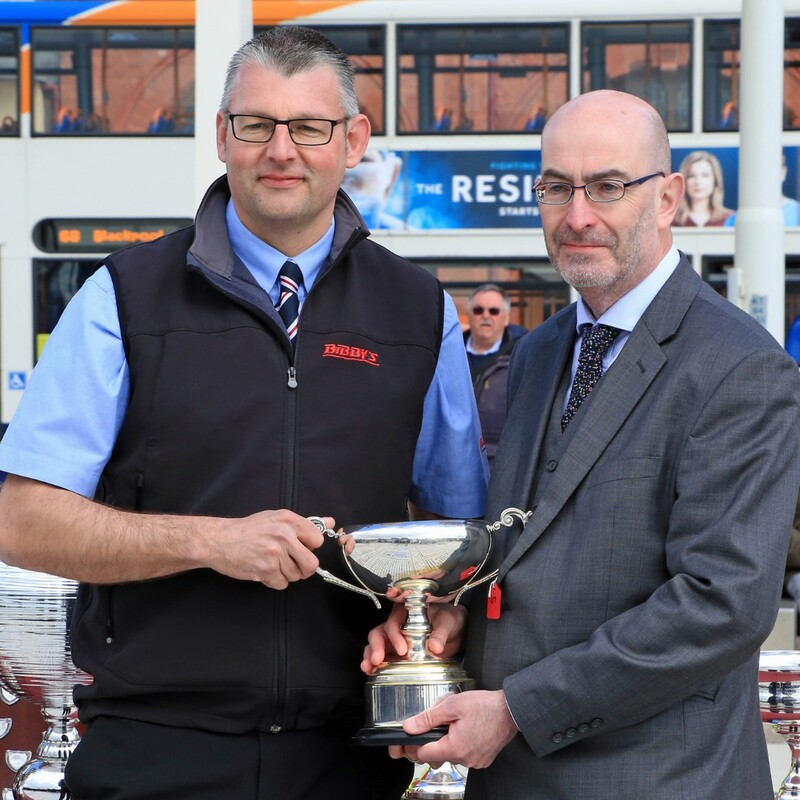 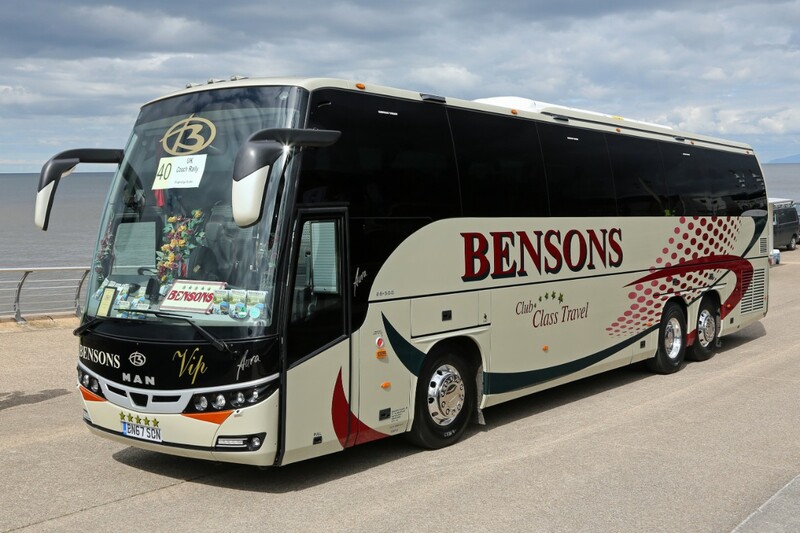 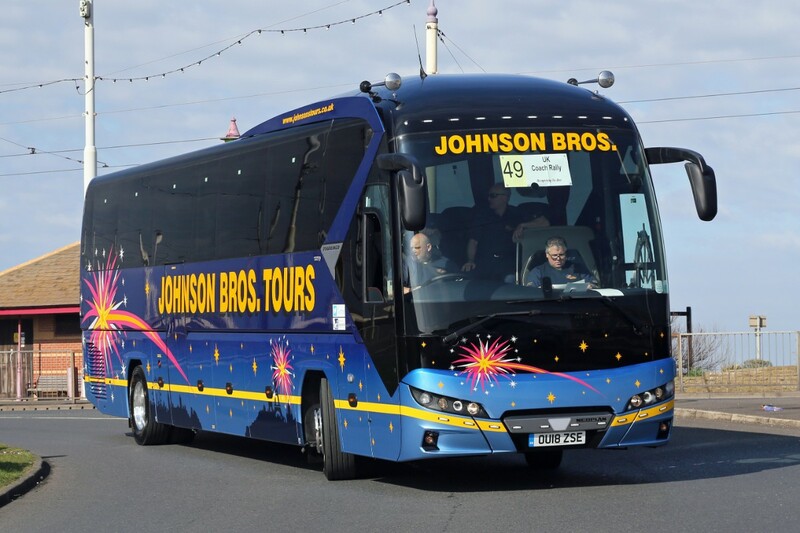 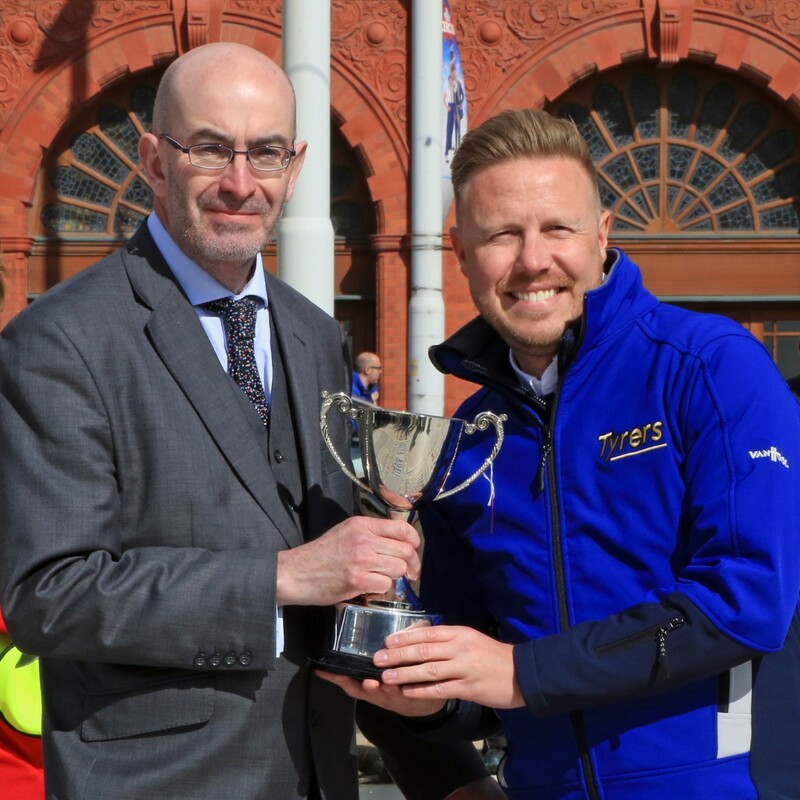 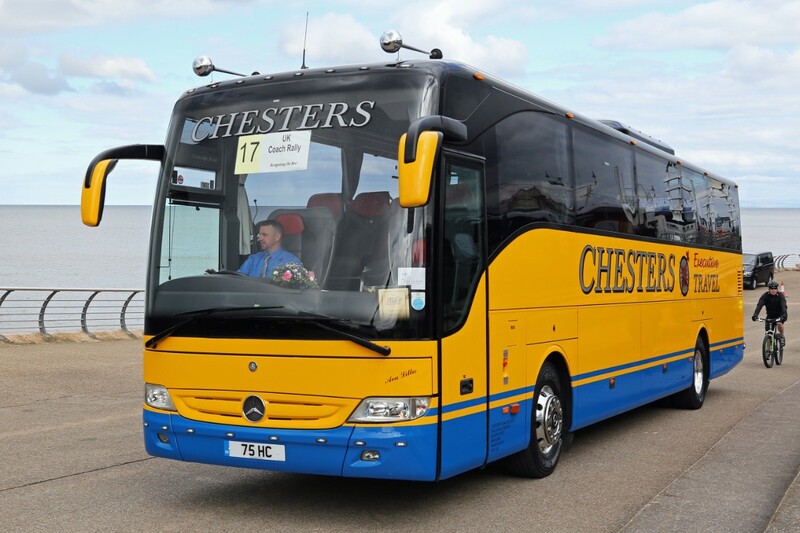 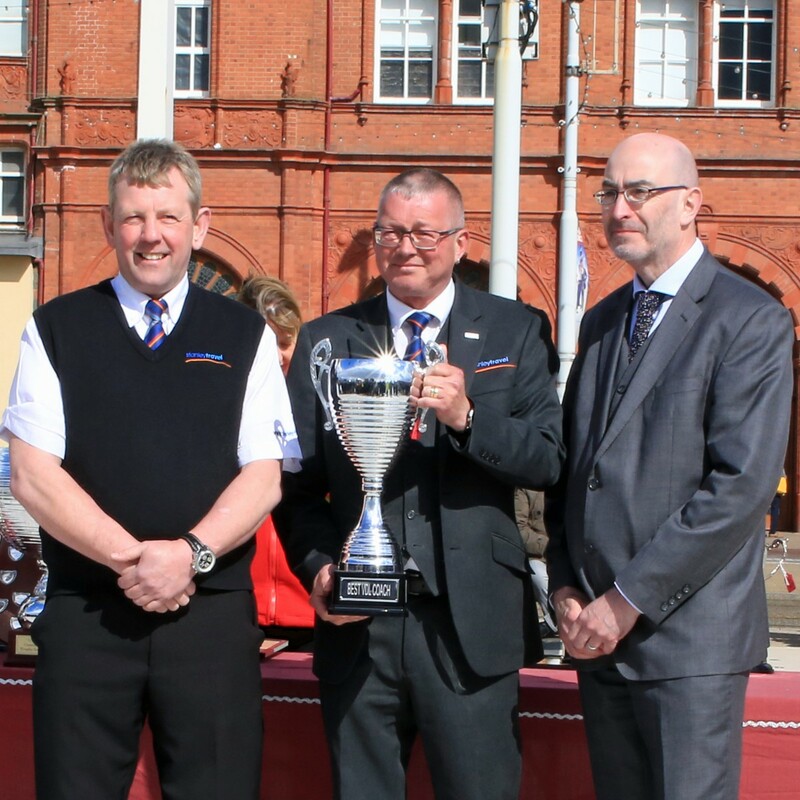 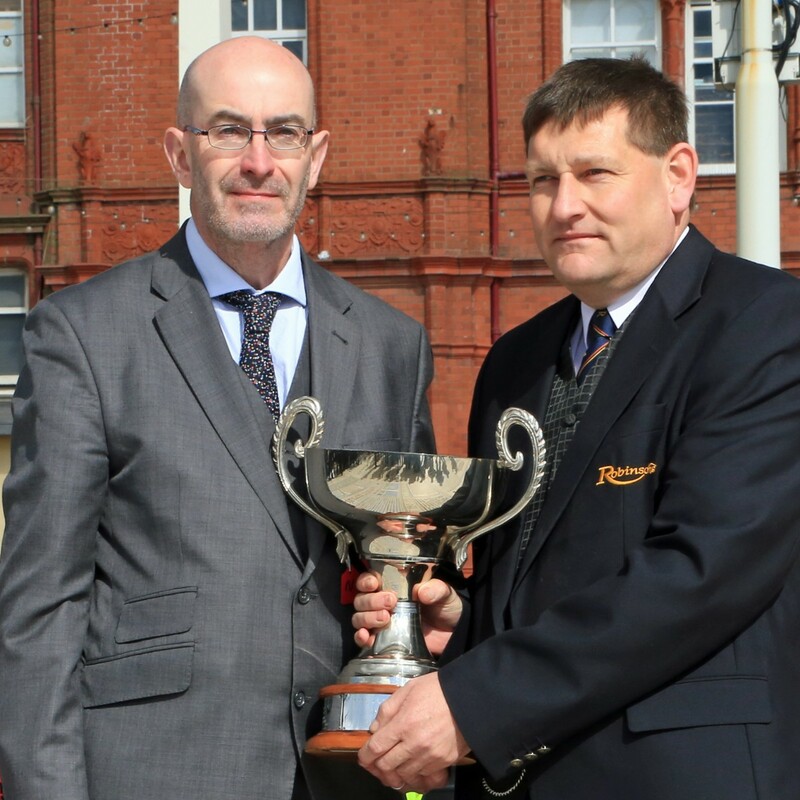 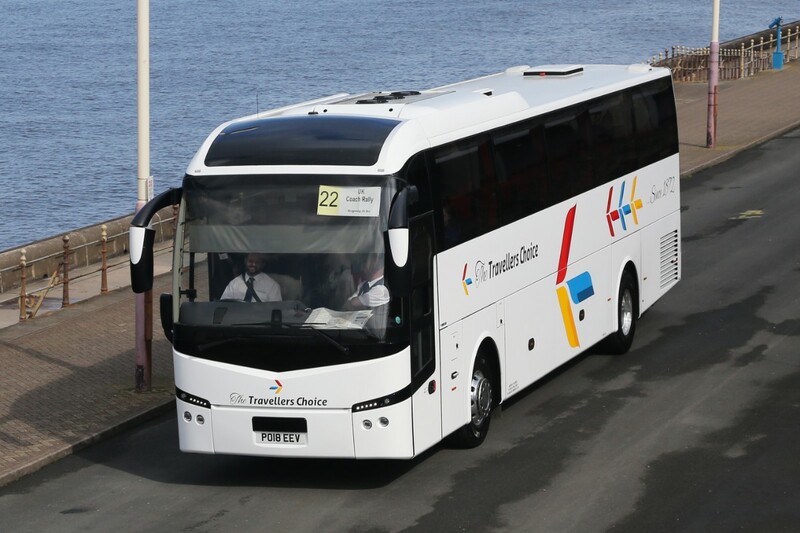 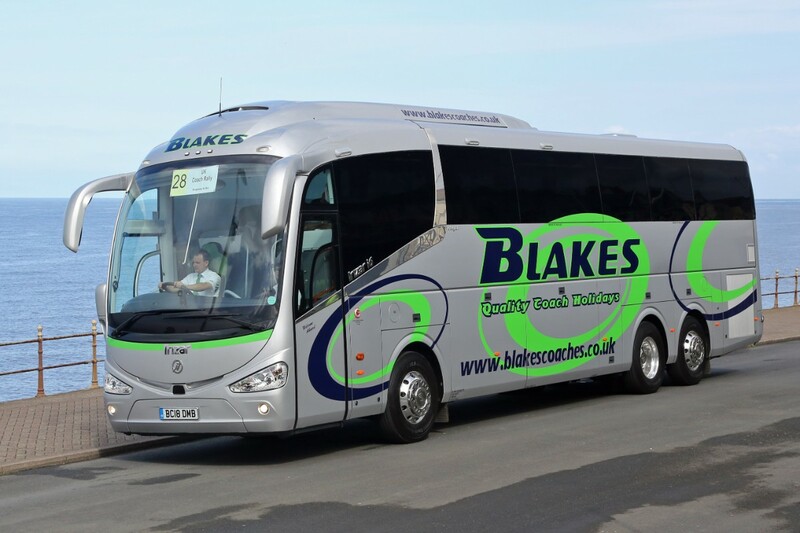 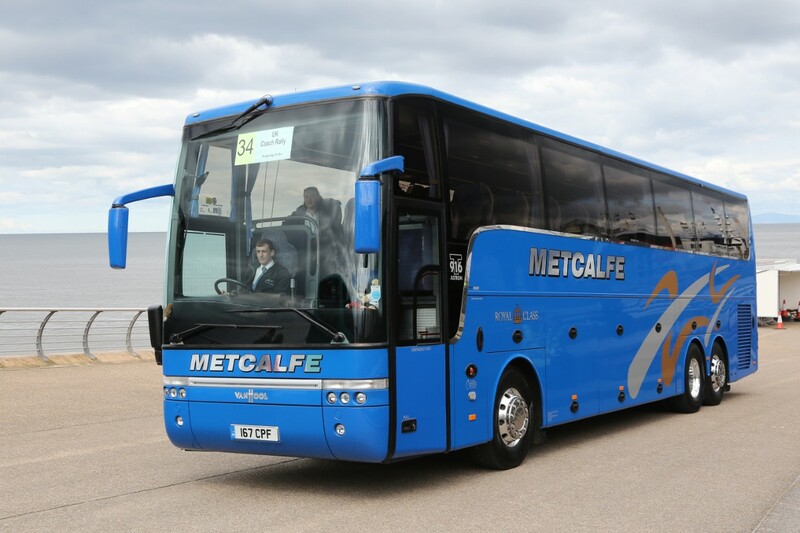 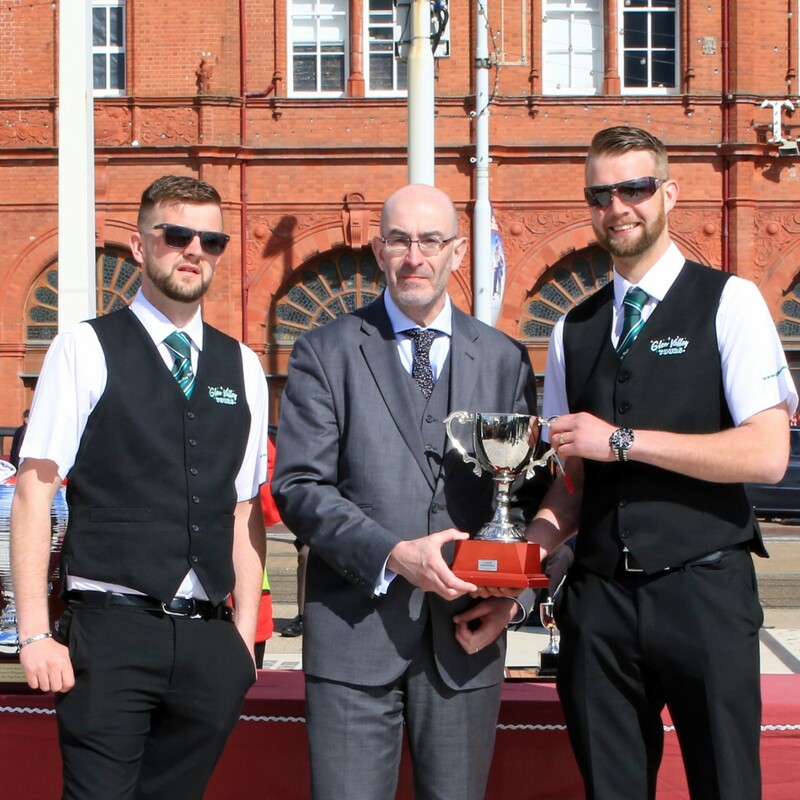 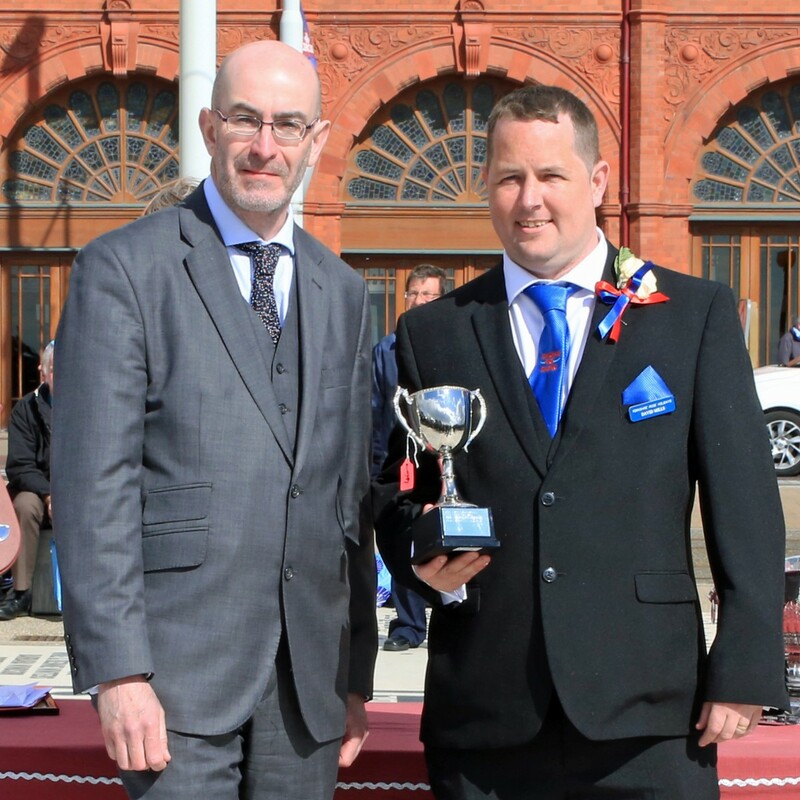 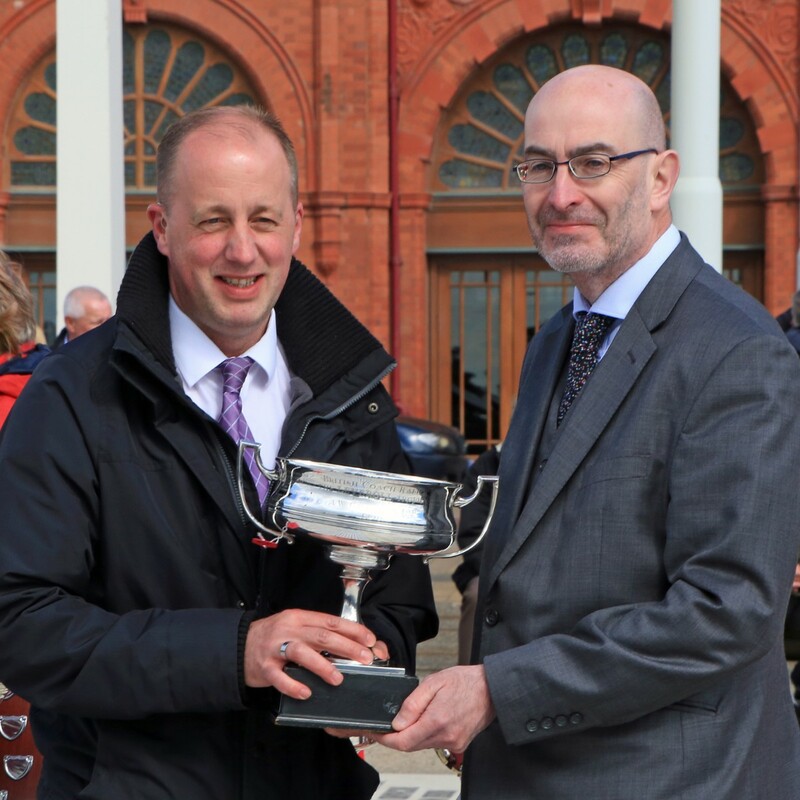 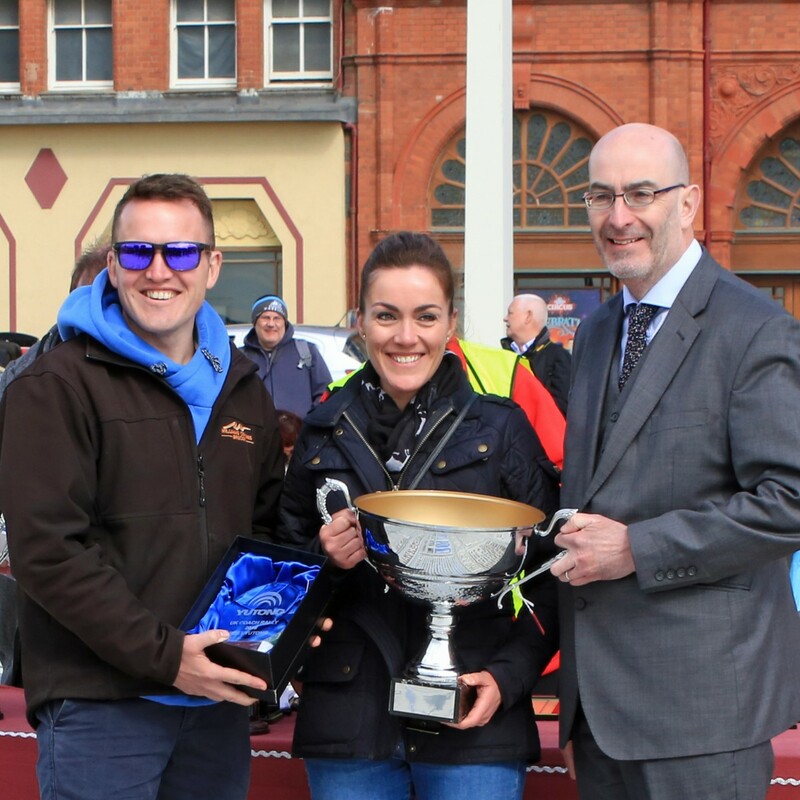 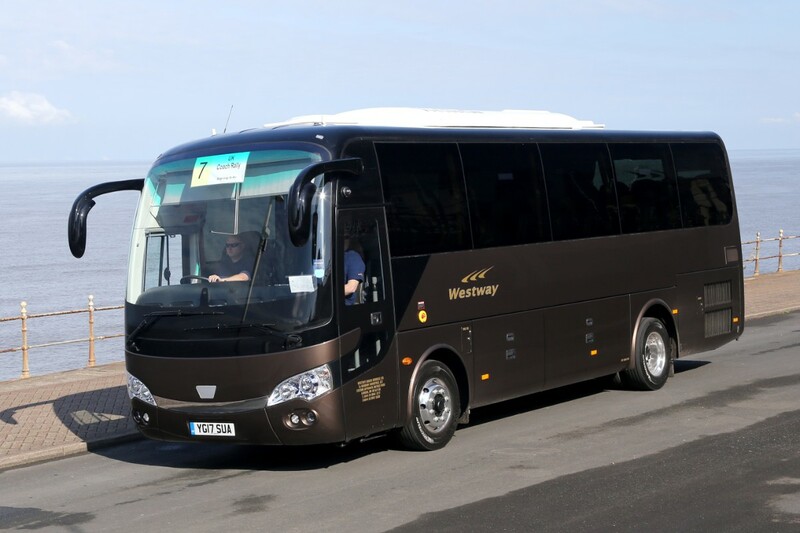 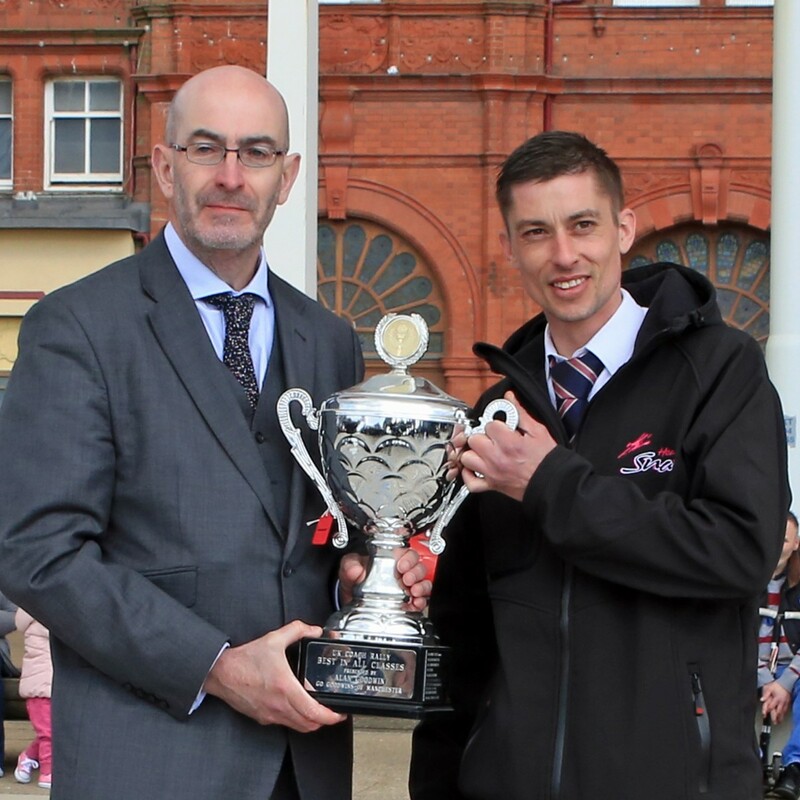 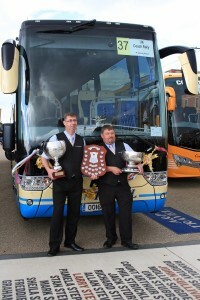 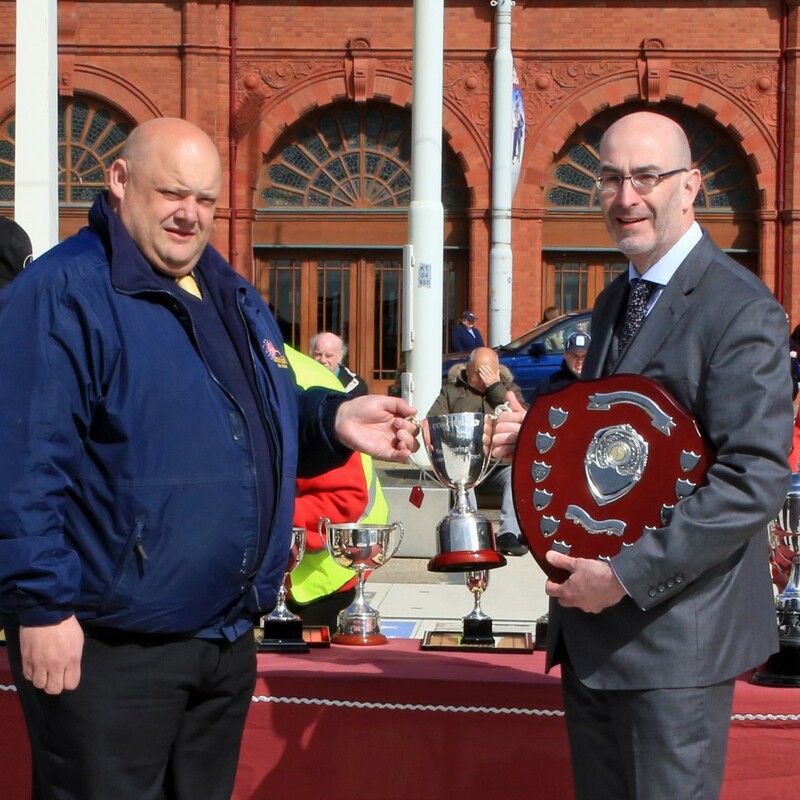 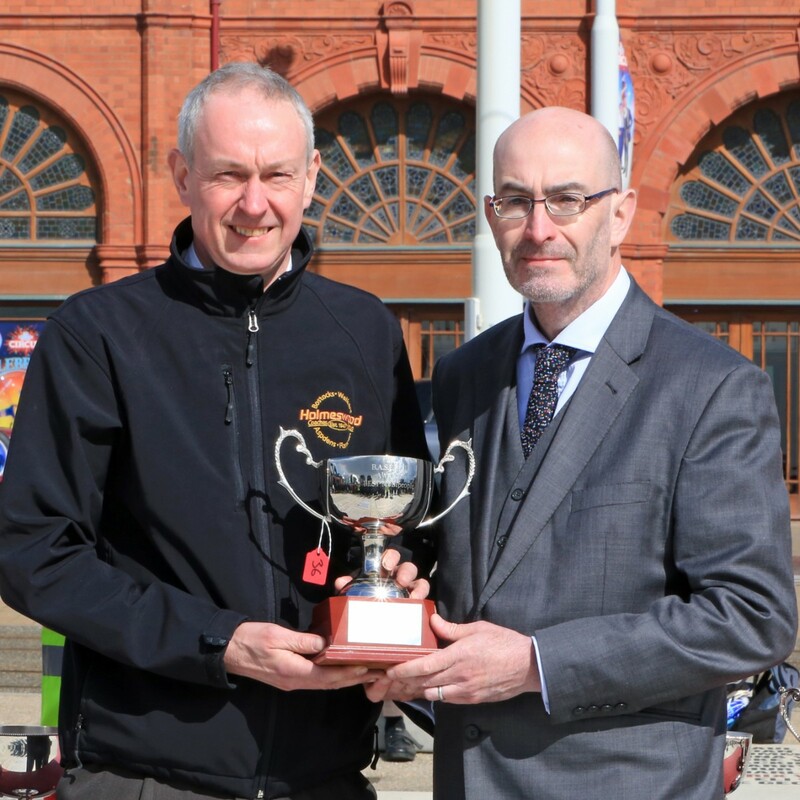 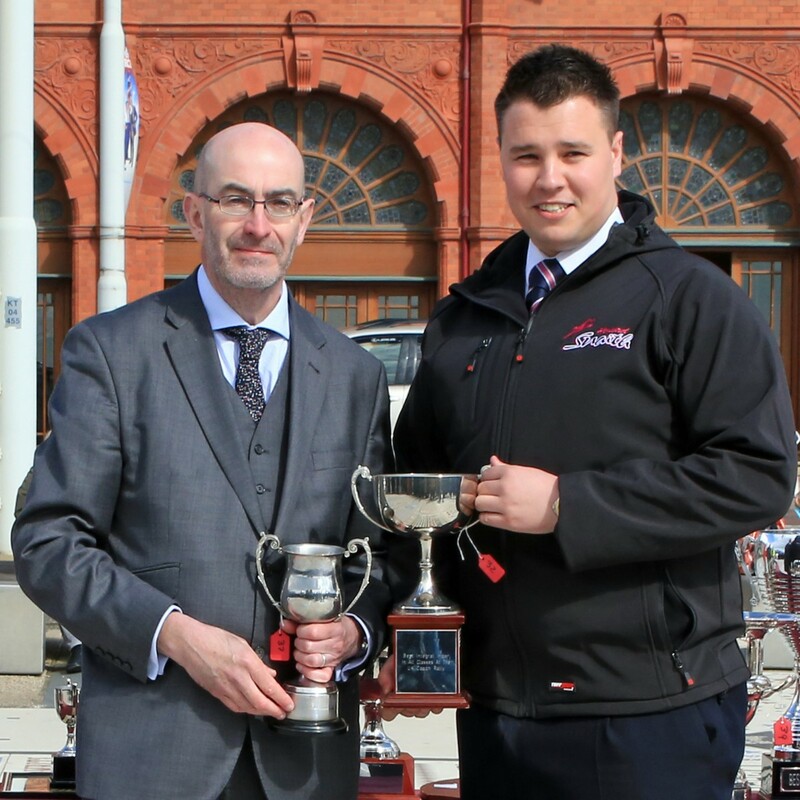 This year’s Coach Driver of the Year was William ‘Billy’ Brayford of Blackburn-based Robinsons Holidays, who competed in a 2004 Jonckheere Mistral 50, built on Volvo B12B: “It’s a bit of a shock to me really,” Billy told Bus & Coach Buyer after picking up the trophy. 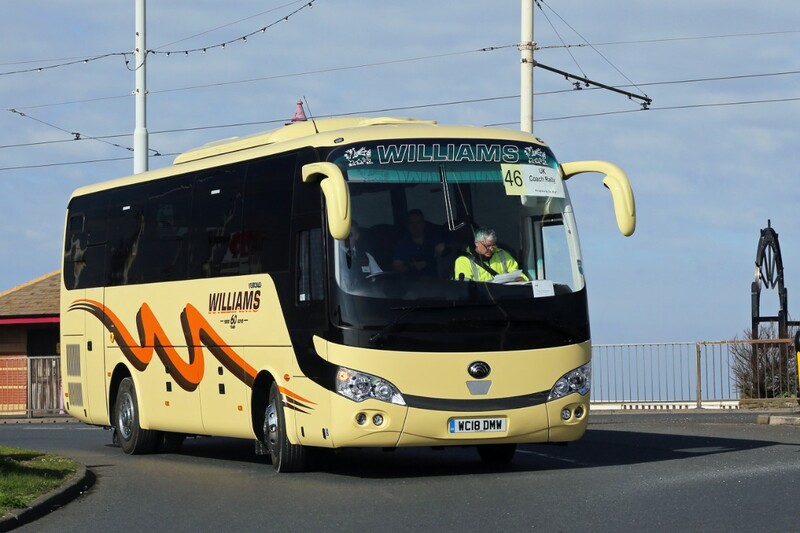 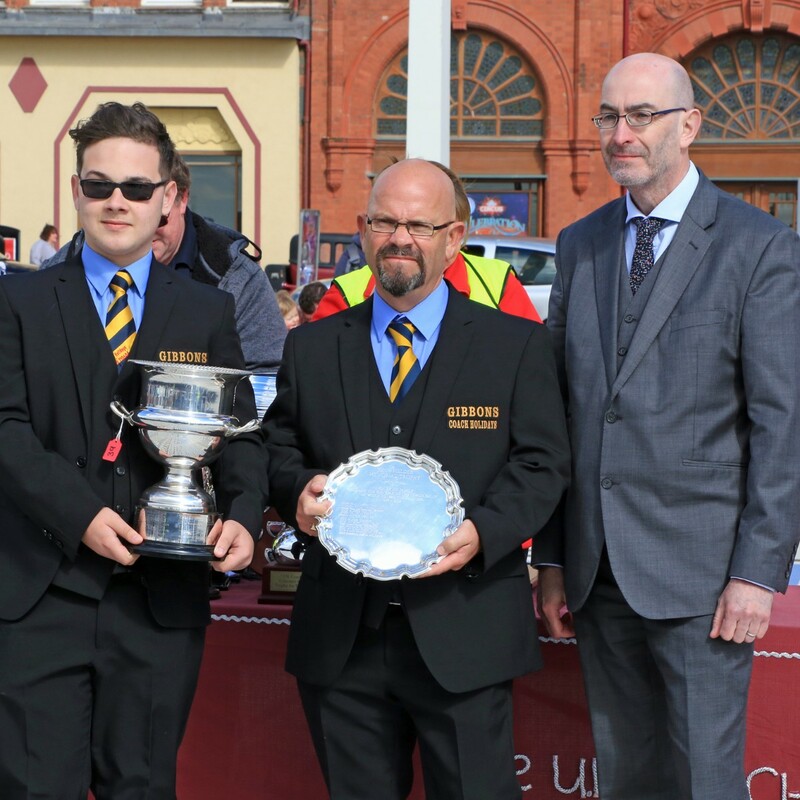 “The test was both nerve-wracking and exciting, but I managed a clear run.” Billy has been around coaches since the age of 11 and, being born in Blackpool, had a slight advantage over some other drivers: “I had a good run and I was familiar with much of the road route,” he said. 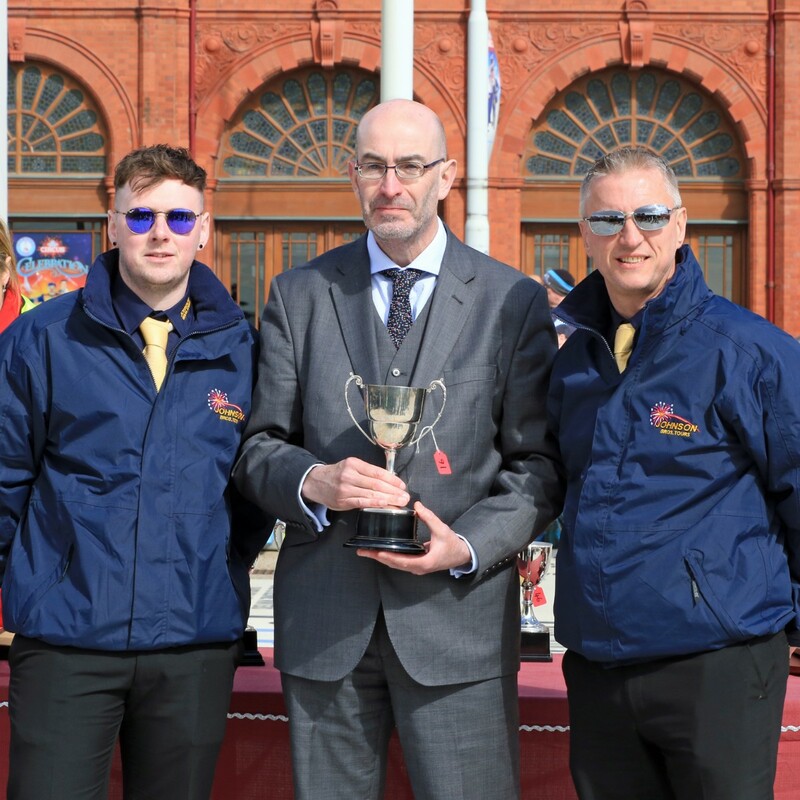 However, this year he proved equal to the stern test of the manoeuvring course. 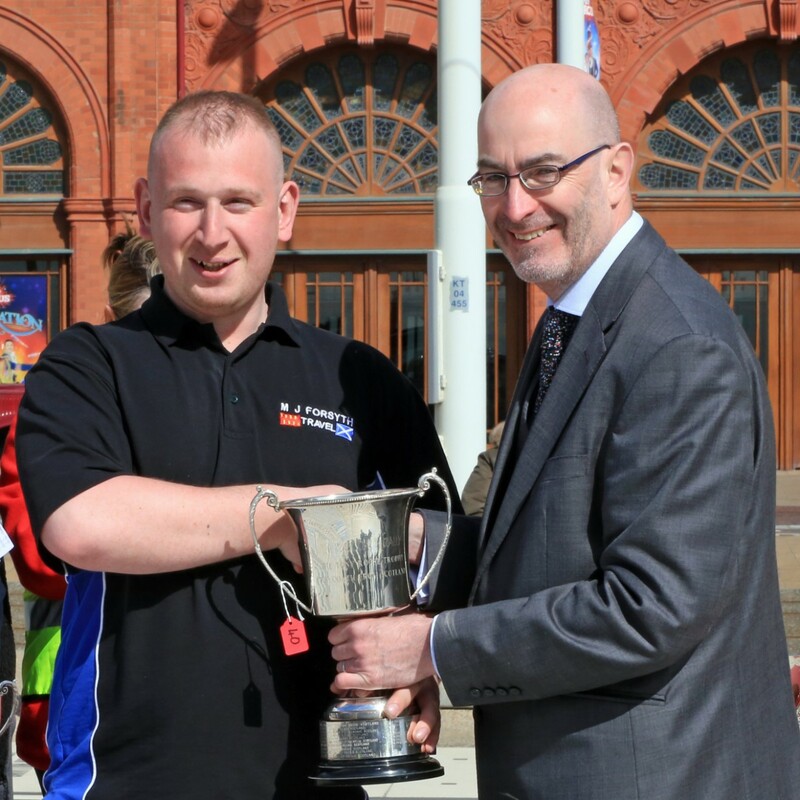 At last year’s event – his first – it caught him out and left him in 14th place. 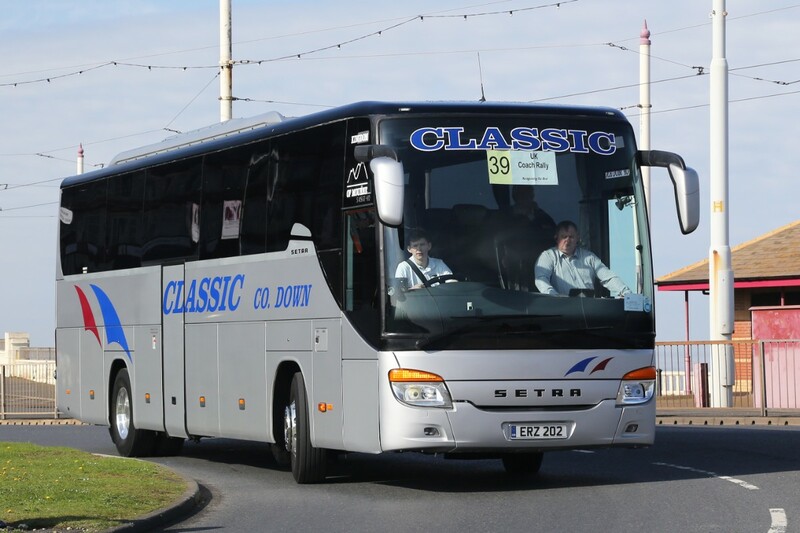 And surprisingly, coach driving isn’t even his day job! 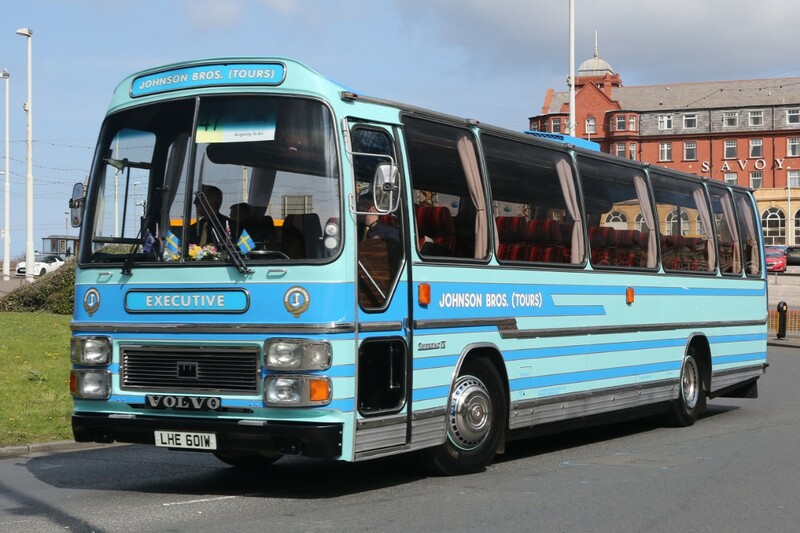 : “I’m actually a coach fitter,” said Billy, who has three vintage coaches including to Bedford OBs. 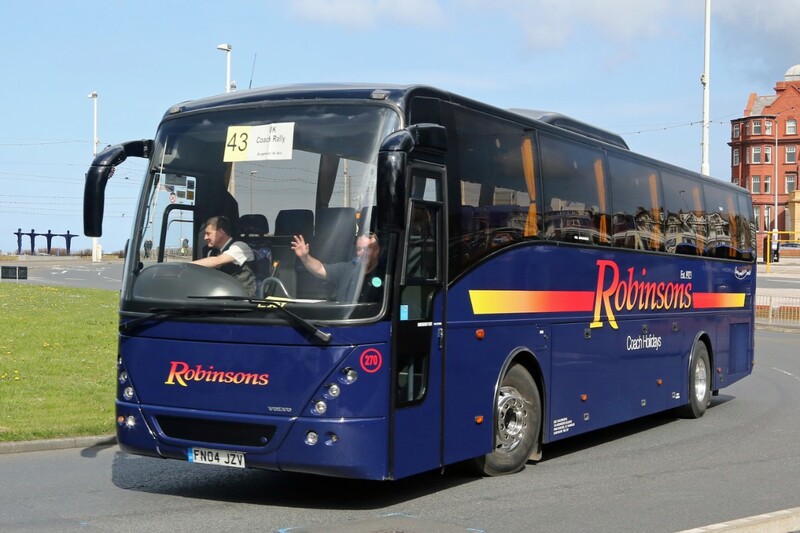 Clearly, shunting coaches around the yard at Robinsons has honed his low-speed driving skills to perfection. 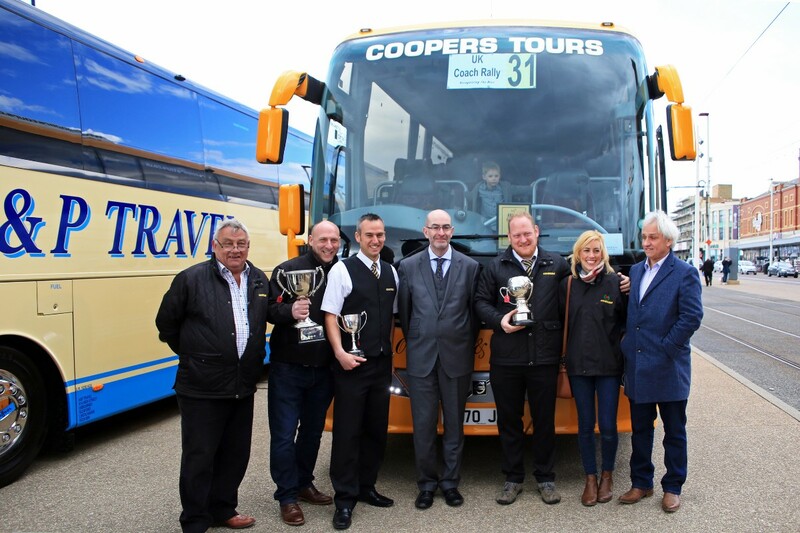 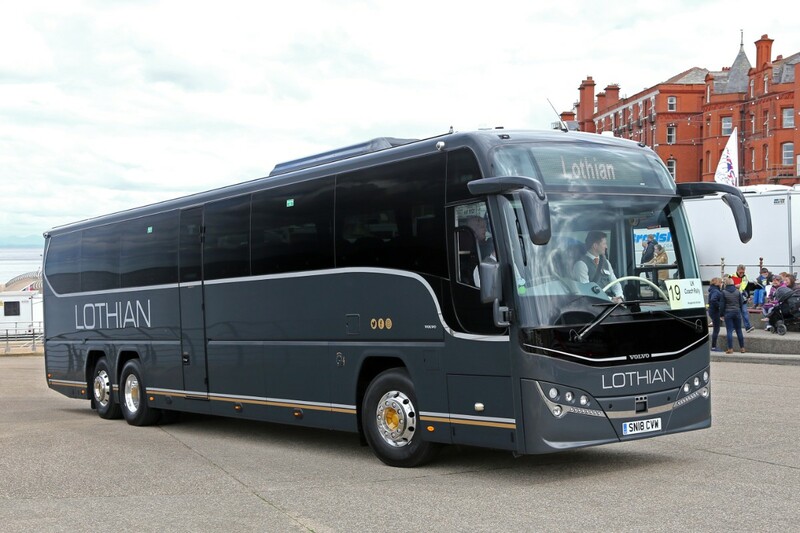 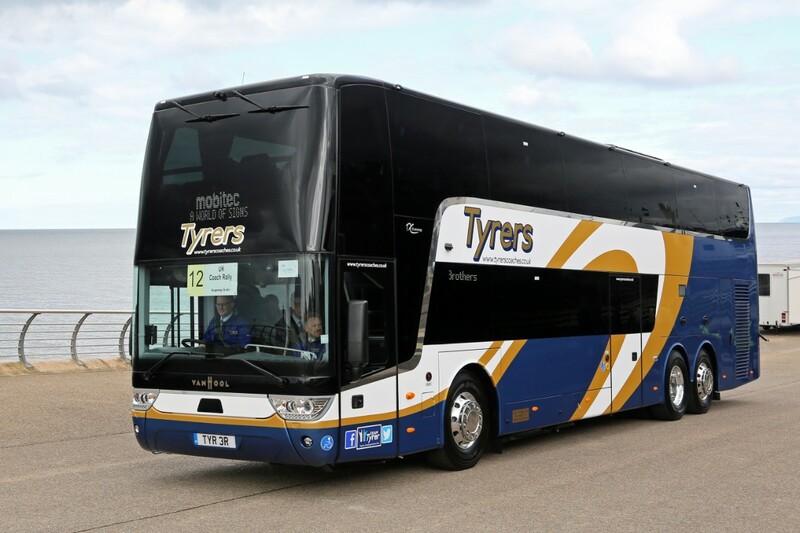 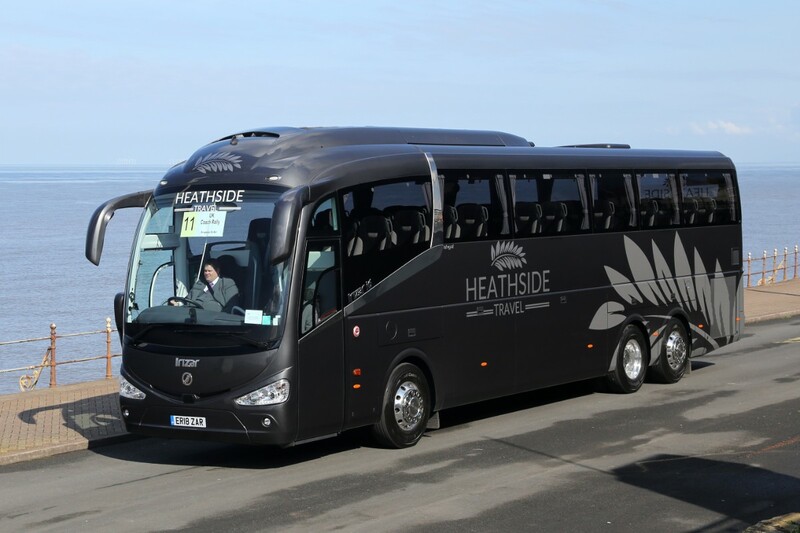 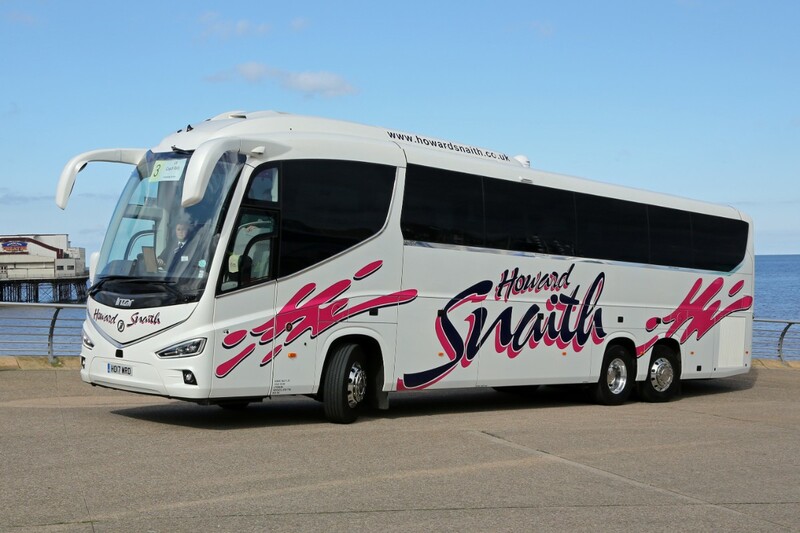 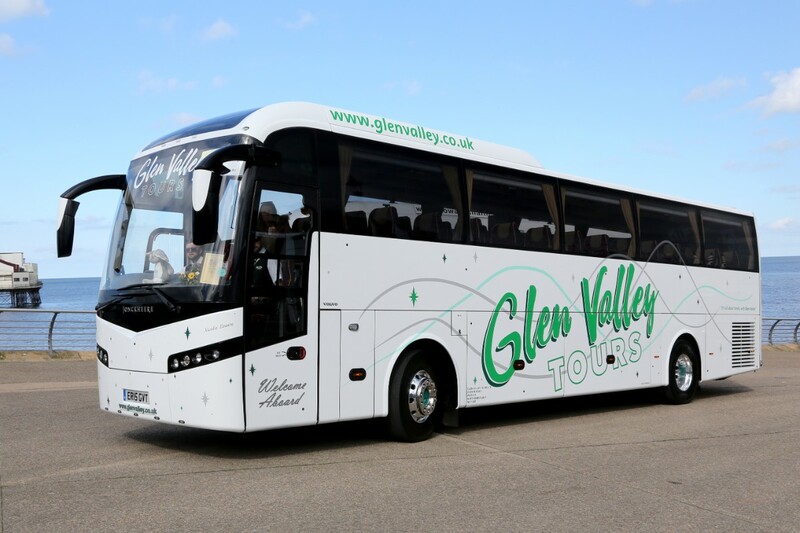 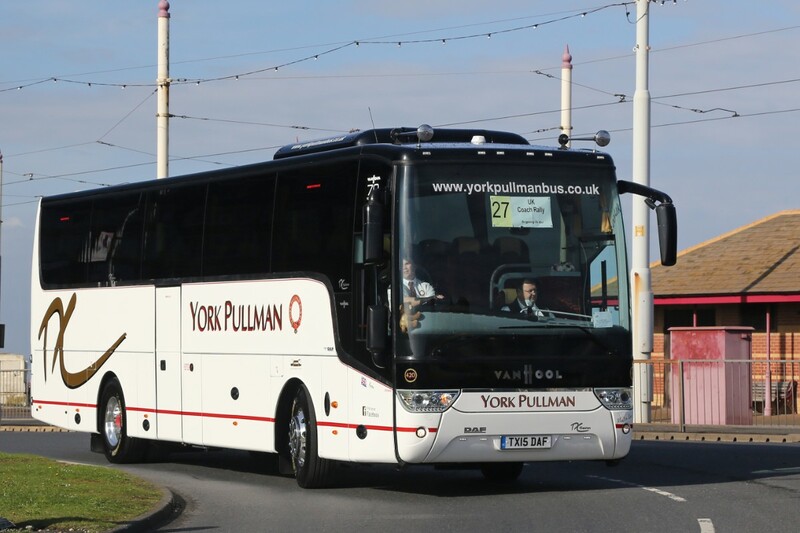 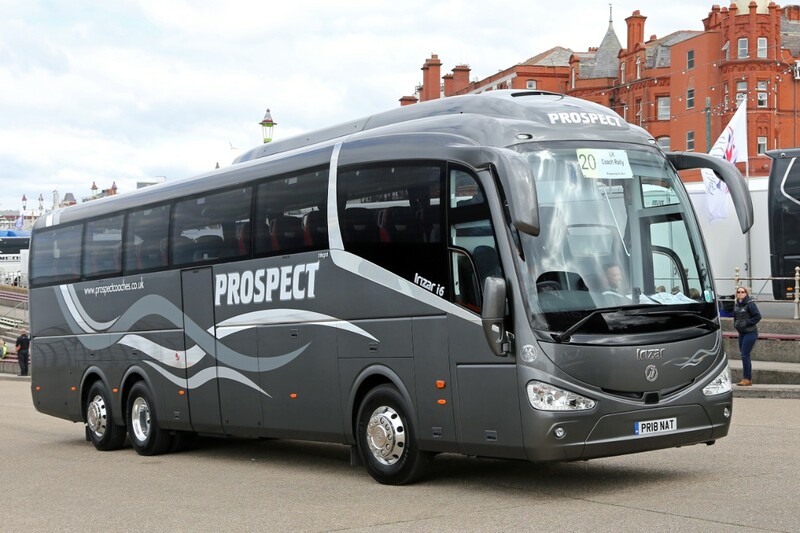 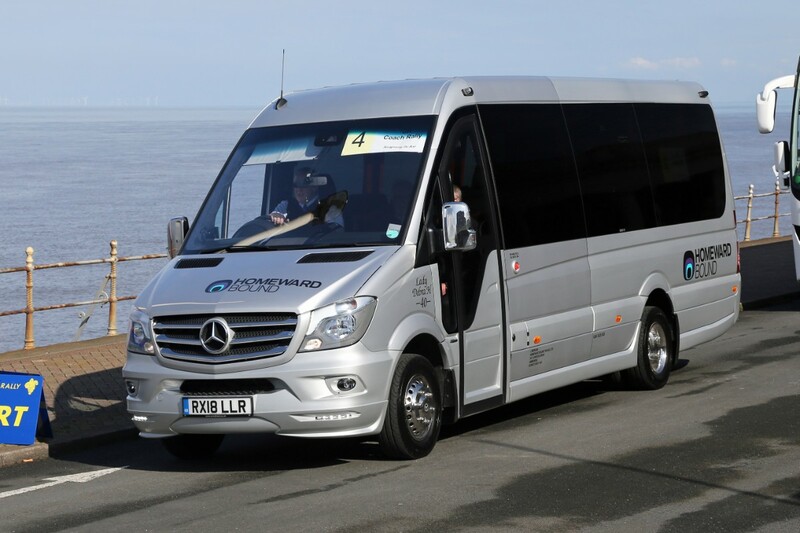 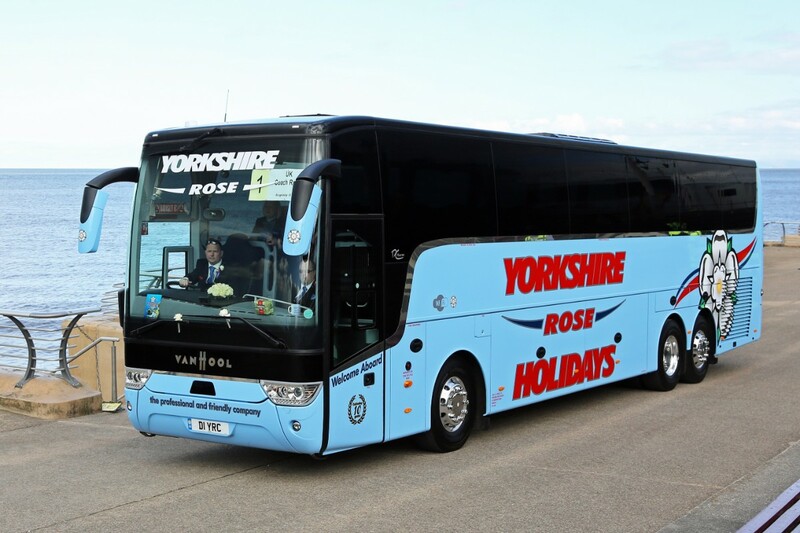 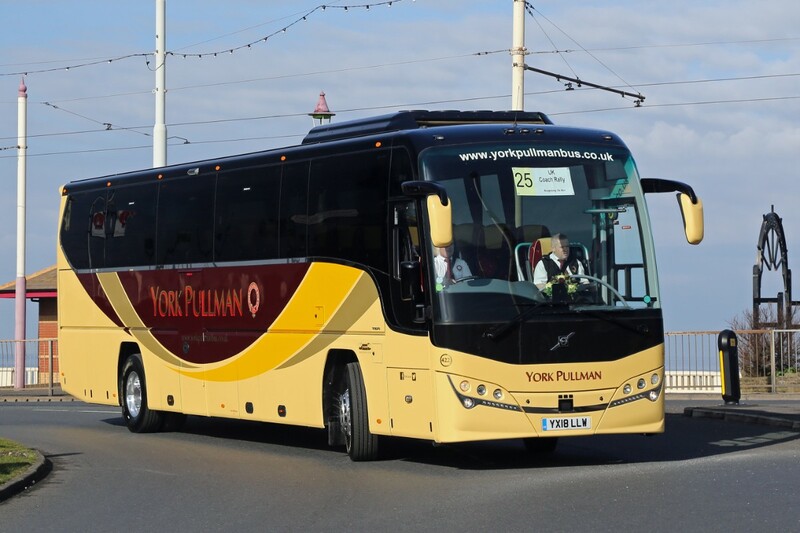 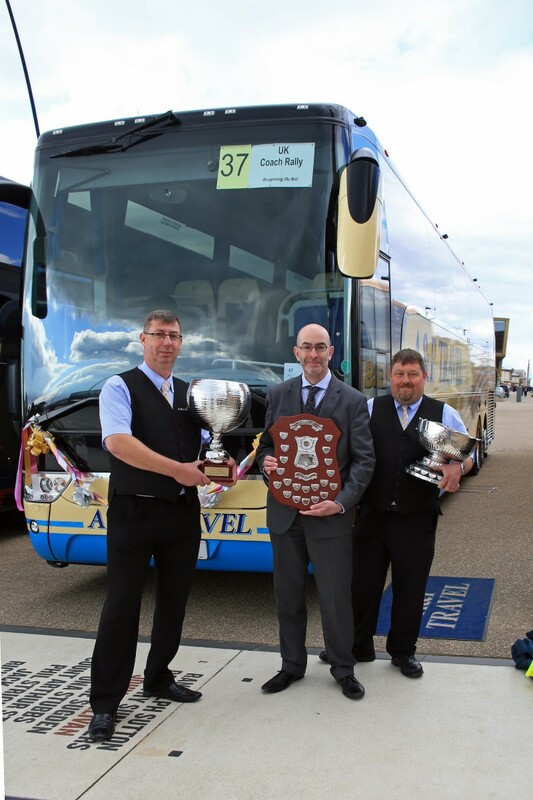 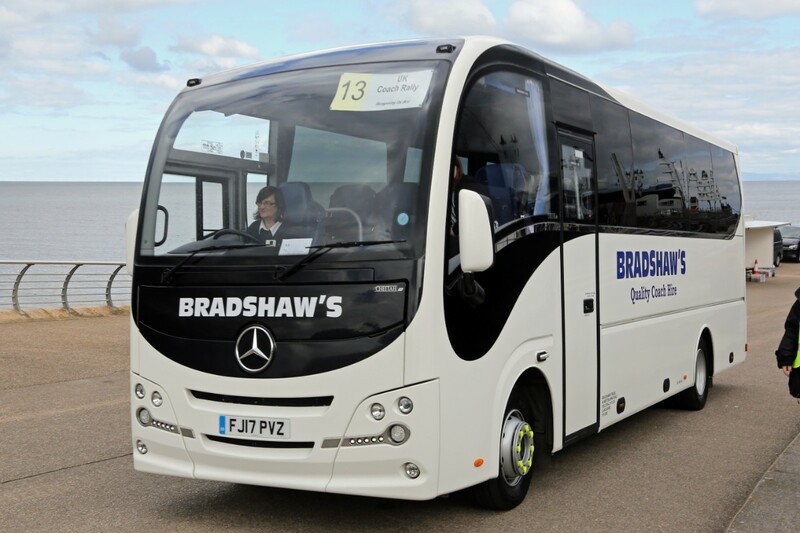 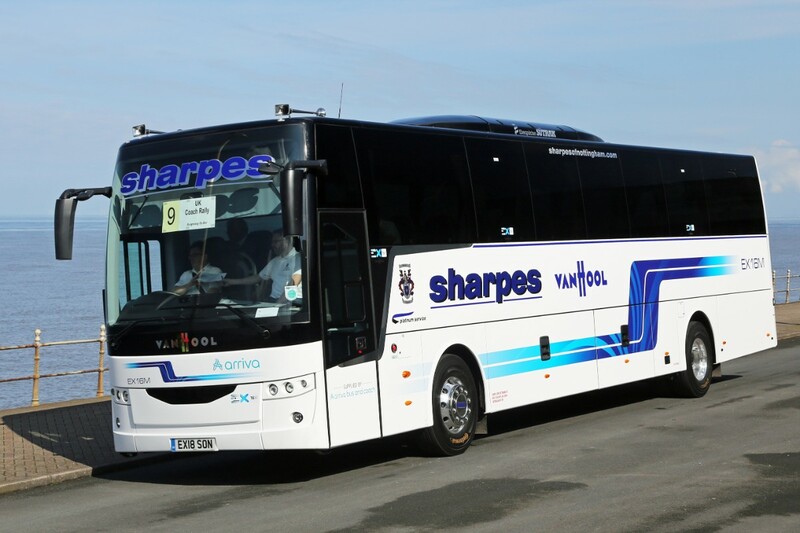 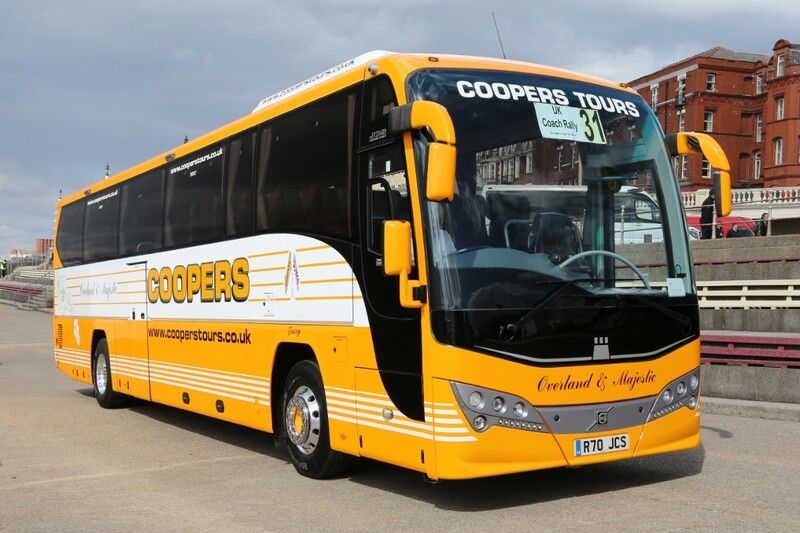 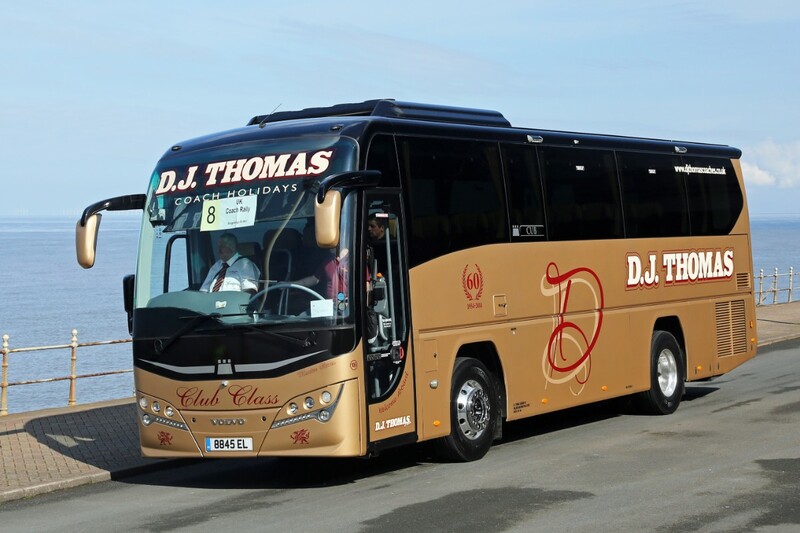 Winning the Coach of the Year was a total surprise: “I’m speechless,” said Paul, the Managing Director of A&P Travel, which runs an extensive tour programme with its five vehicles – all of them Van Hools. 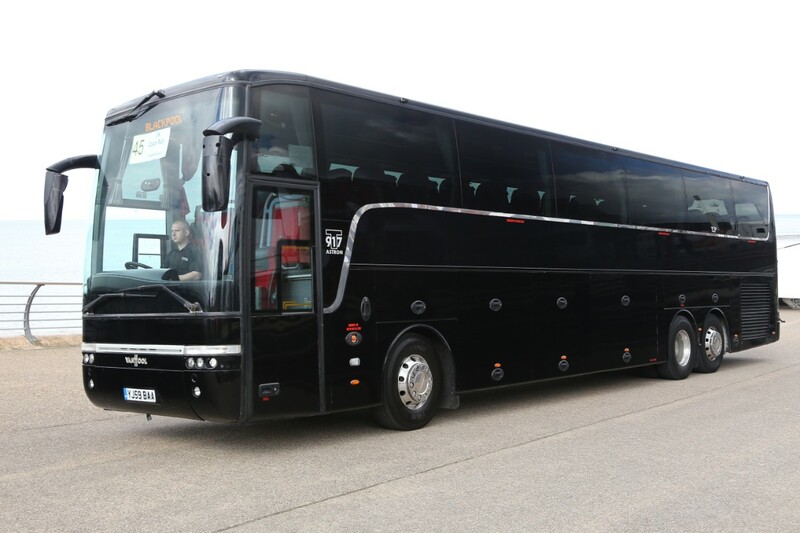 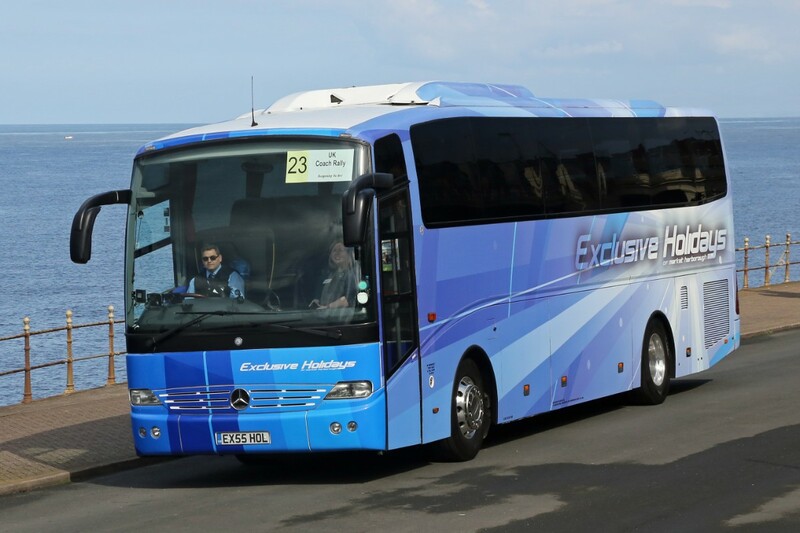 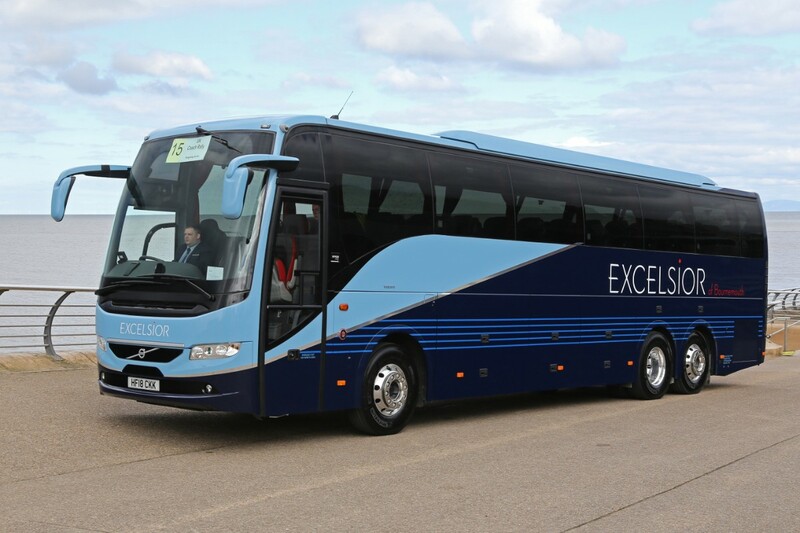 The luxurious 13-metre Acron is two years old and was built to order with 49 seats at a cost of £328,000. 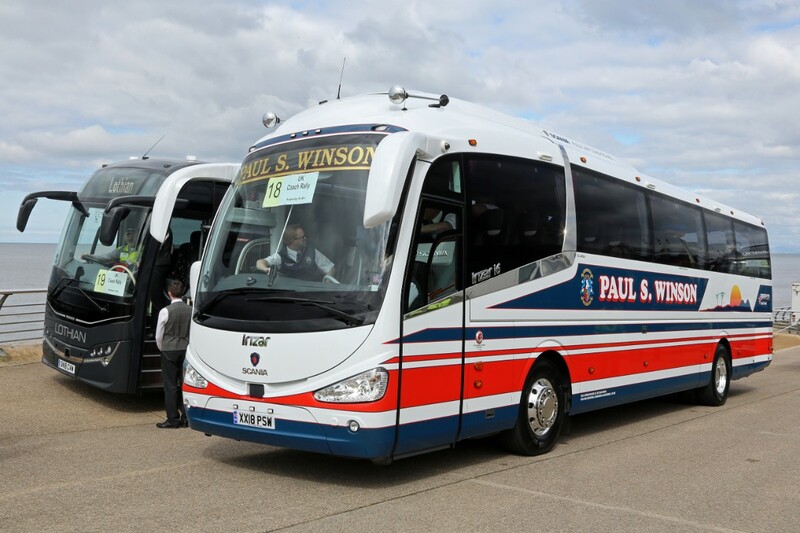 “It’s just come back from Spain,” said Paul. 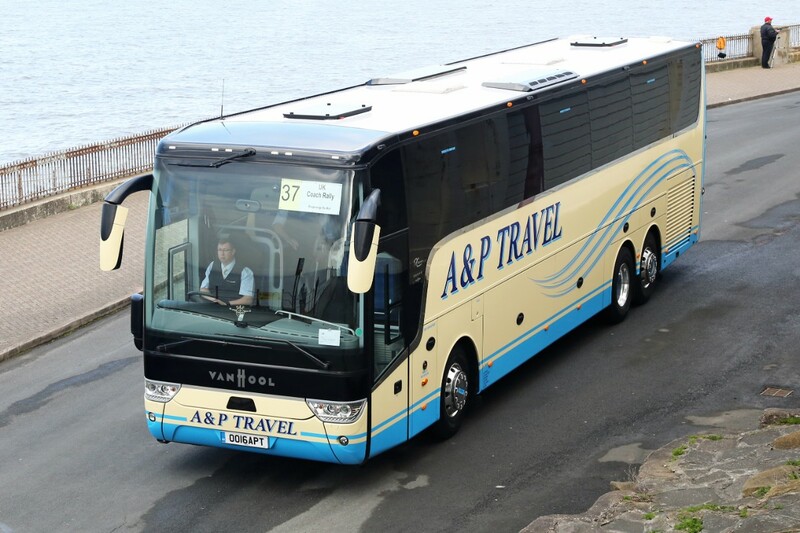 “I was bullied into entering by the staff, and it’s the first time we’ve entered, though I’ve been going to the rally for 20 years.” A&P Travel was established 12 years ago by Paul and his father, Alan, who is now 75: “But I’ve been in the industry all of my working life,” said Paul. 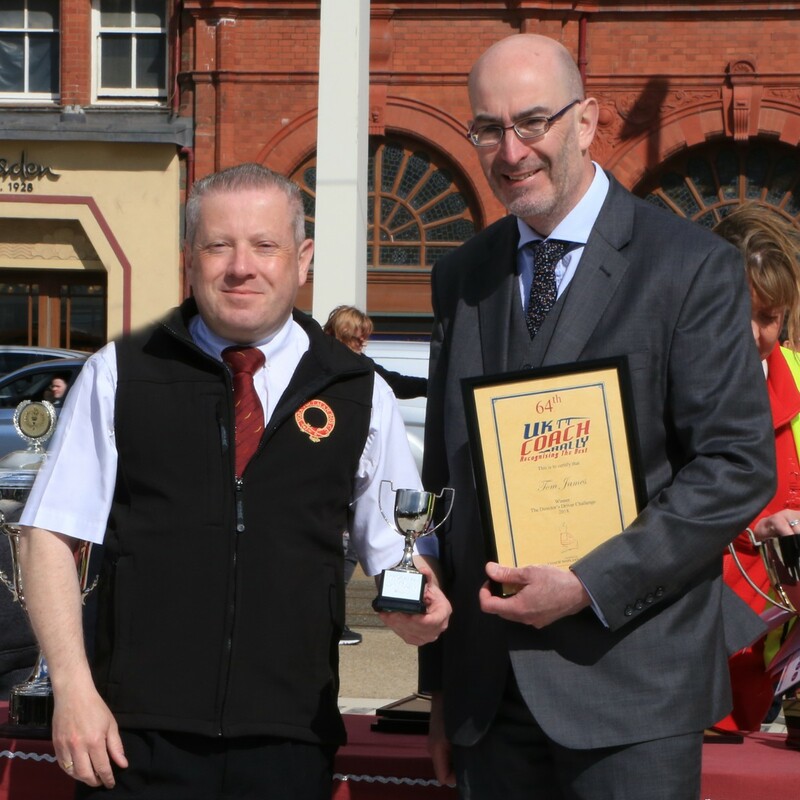 “I’m the third generation of Cartwright drivers. 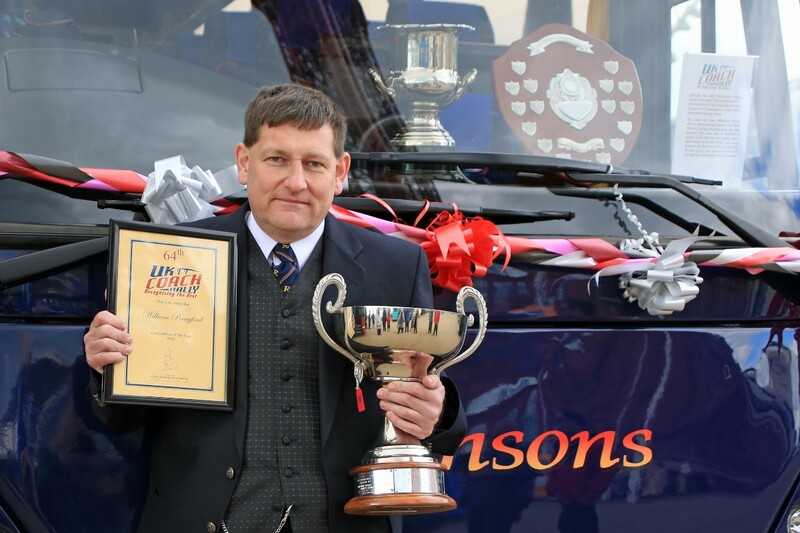 Click on the gallery at the top to see ALL of the entrants and winners!